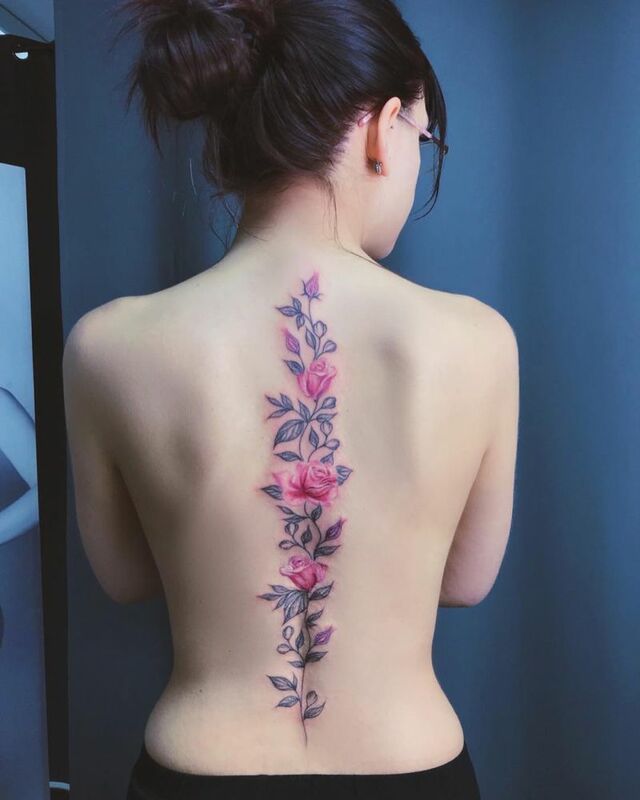 There are few tattoo designs that can rival the beauty and elegance that floral tattoos bring to the table. 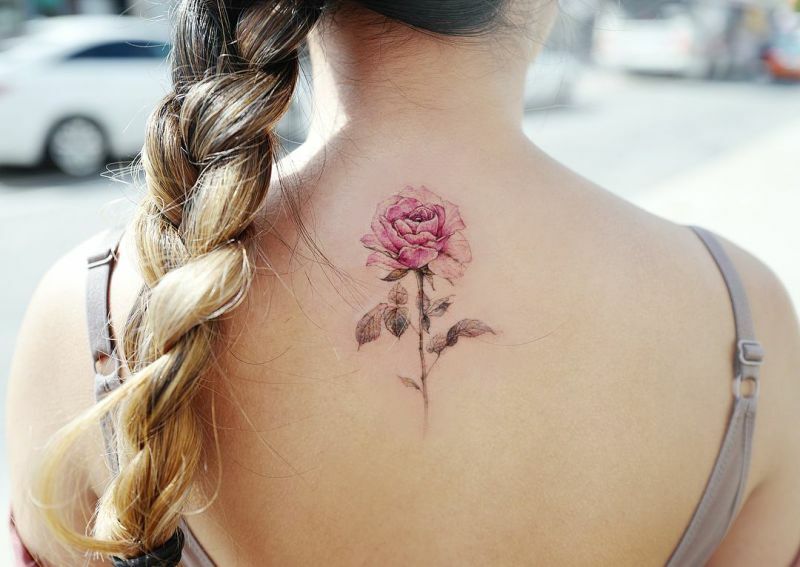 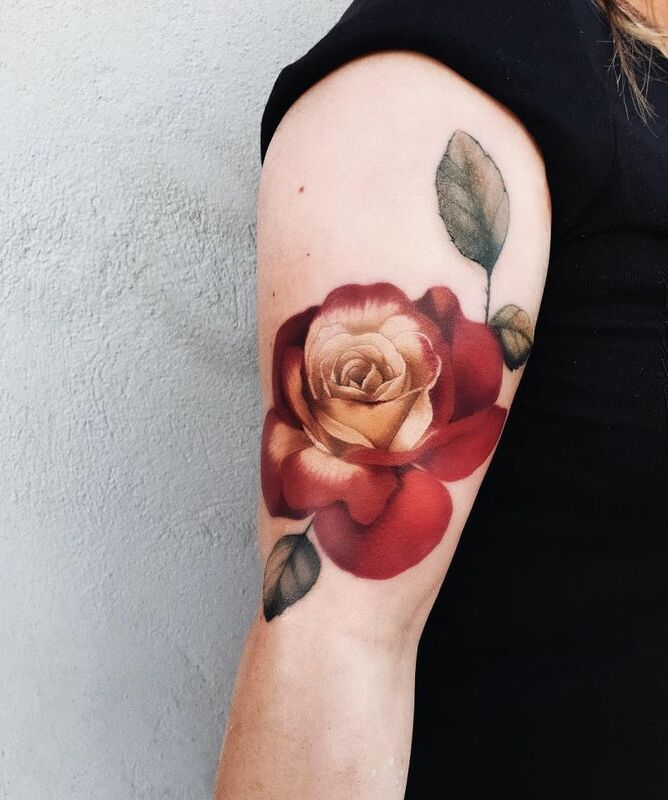 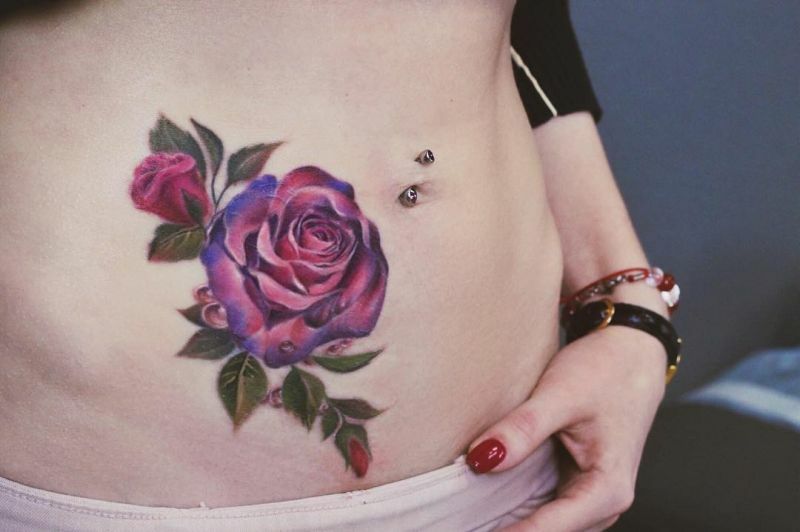 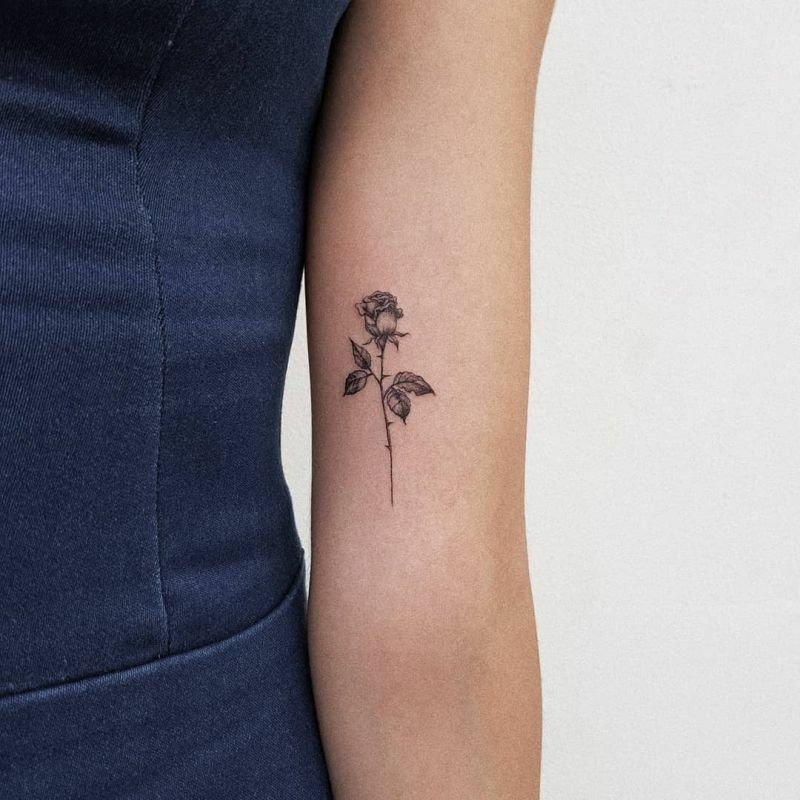 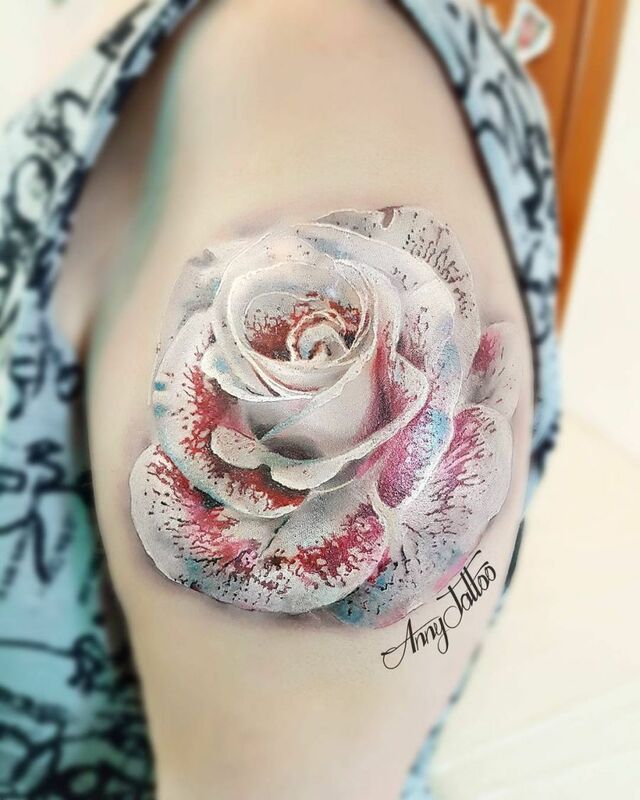 And as far as floral tattoos designs go, few flowers are as popular as the rose. 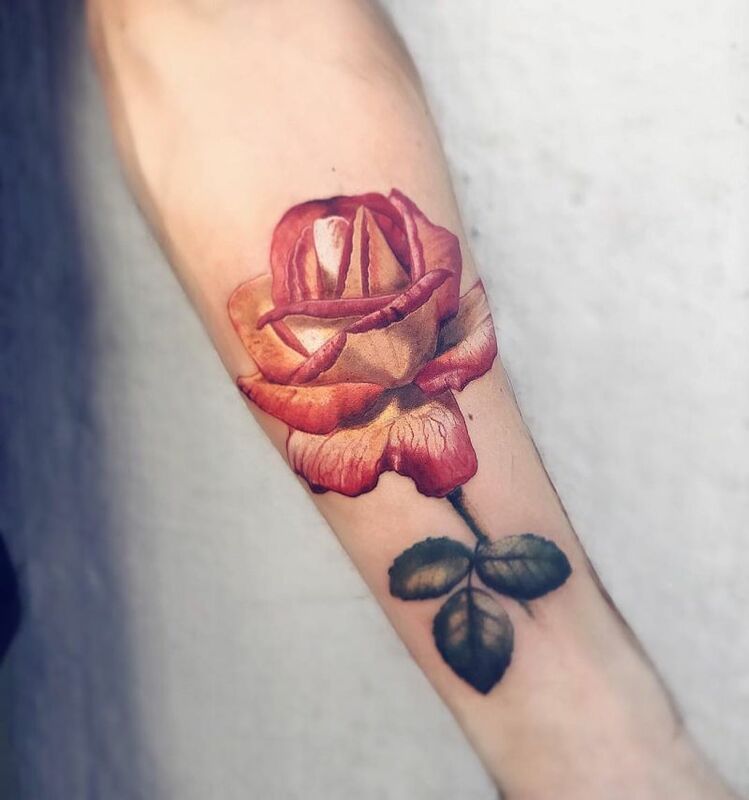 As we all know, the rose is one of the most common and at the same time one of the most beautiful and meaningful motifs in the art of tattoos. 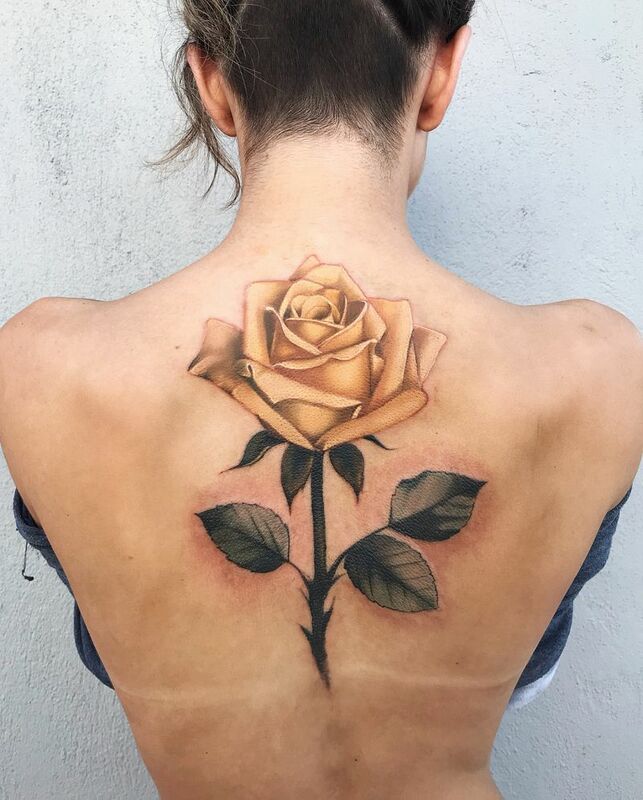 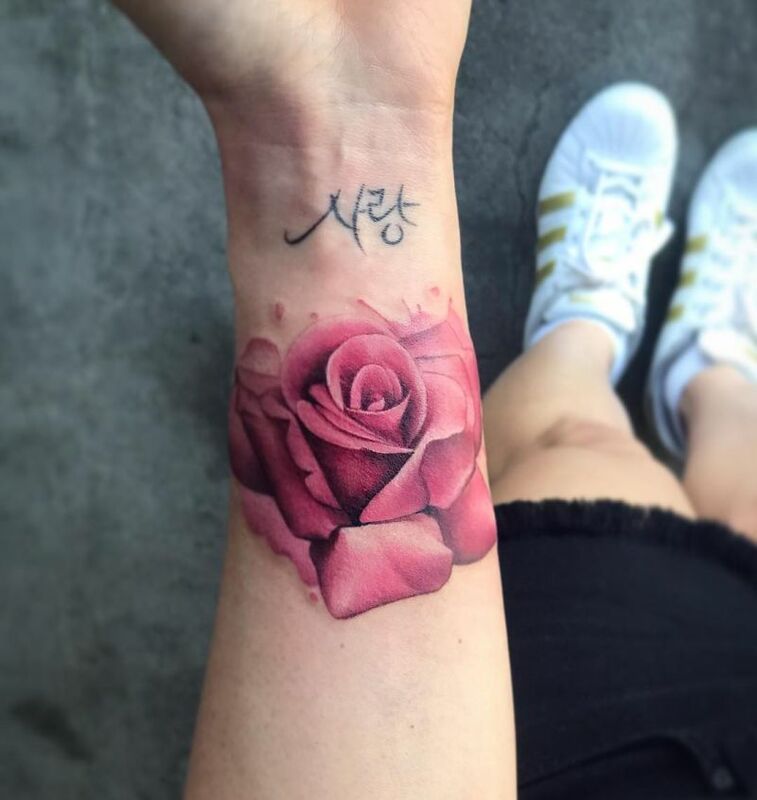 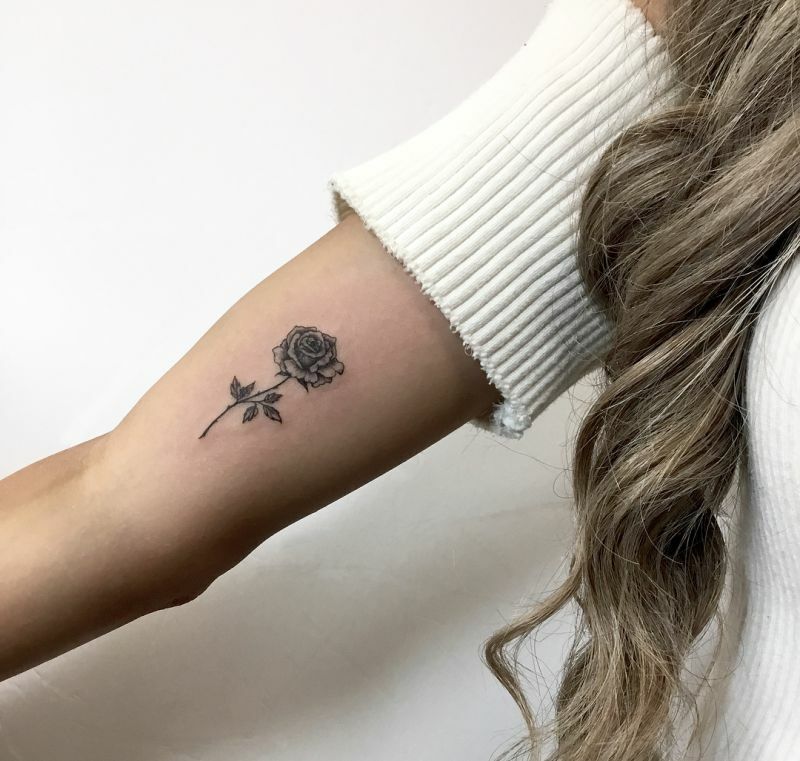 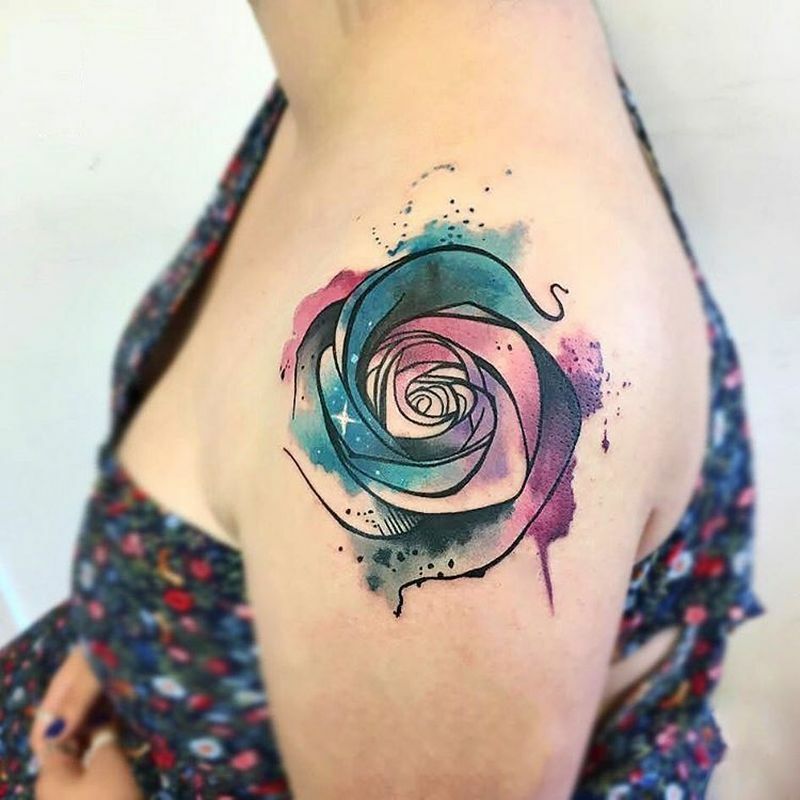 Most of those who choose a rose tattoo are doing it only for aesthetic reasons or for the obvious symbolism (delicate beauty or love) but you should know that there is a wealth of culture behind rose symbolism that can be different based on different elements, like color, whether or not the rose is “open.”, etc. 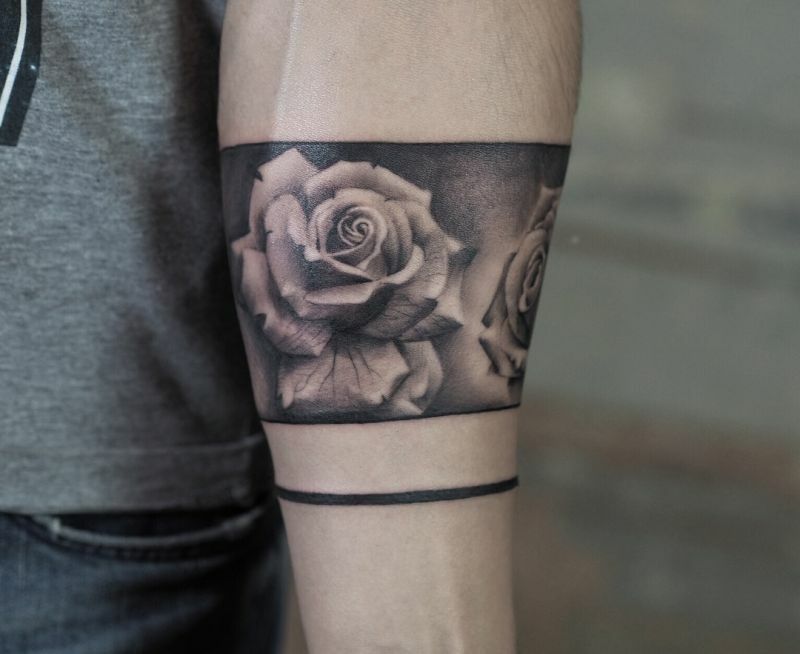 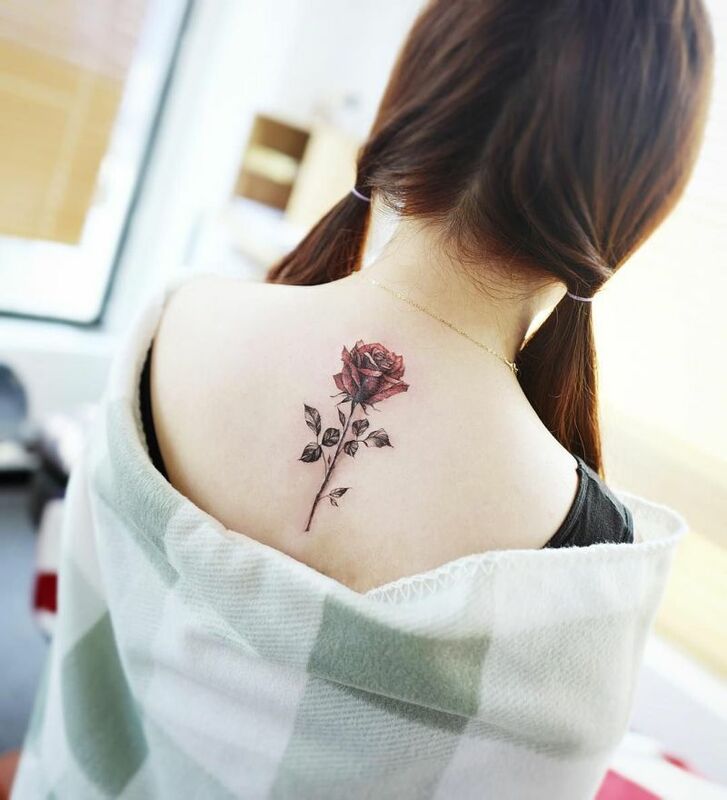 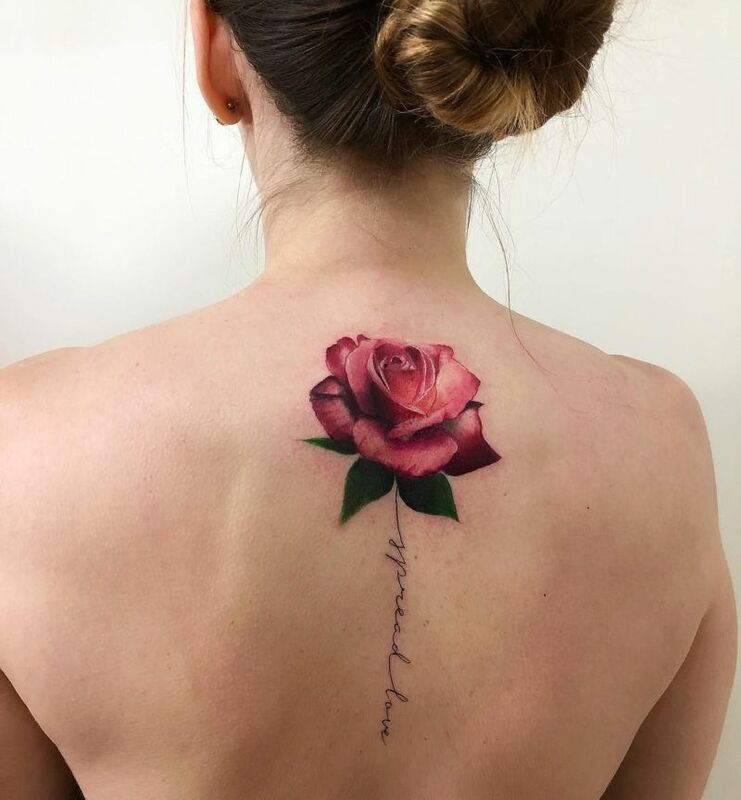 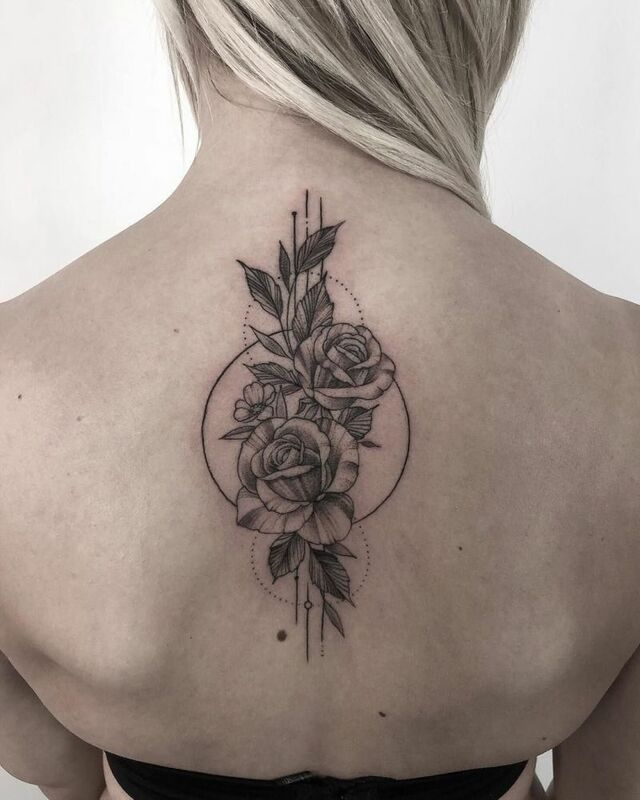 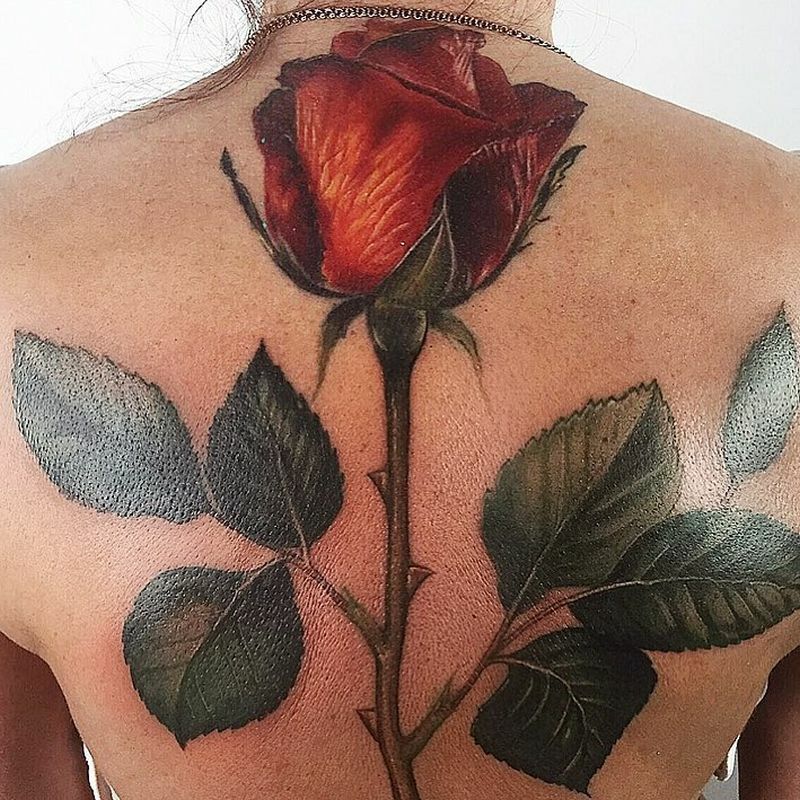 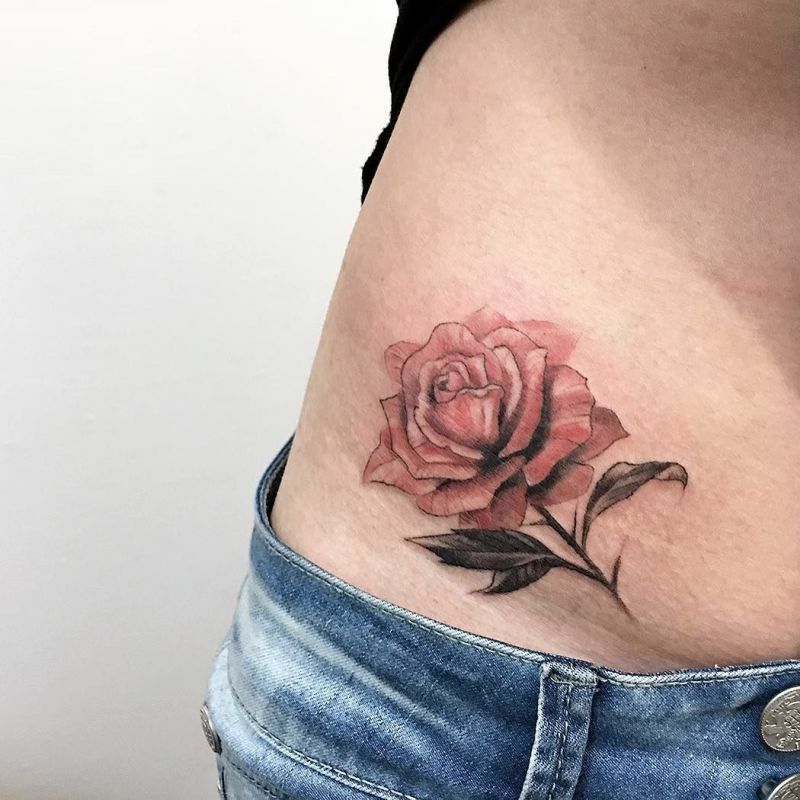 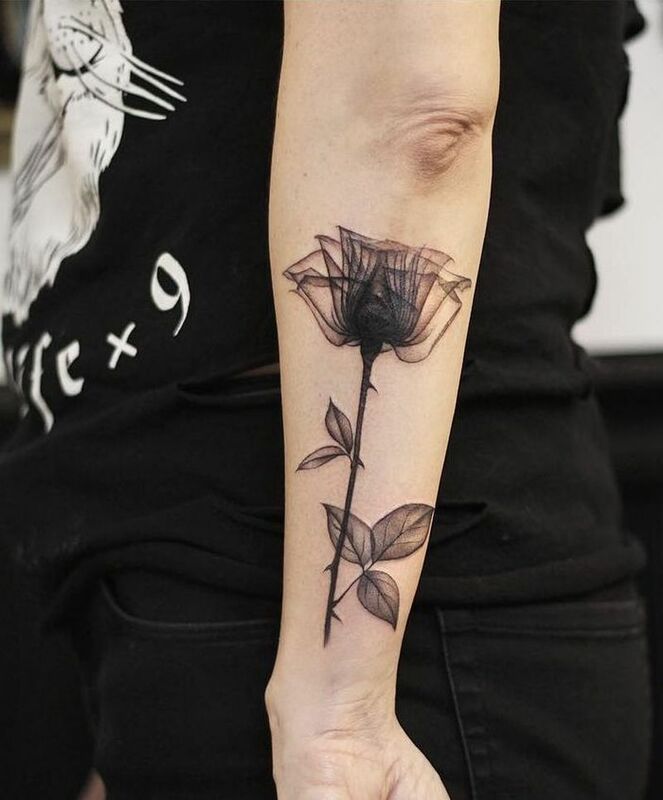 If you’re among those who besides the aesthetics of a tattoo, take in consideration the symbolism behind it (the wise thing to do), in the lines below you’ll find what you should know about the meaning of a rose tattoo. 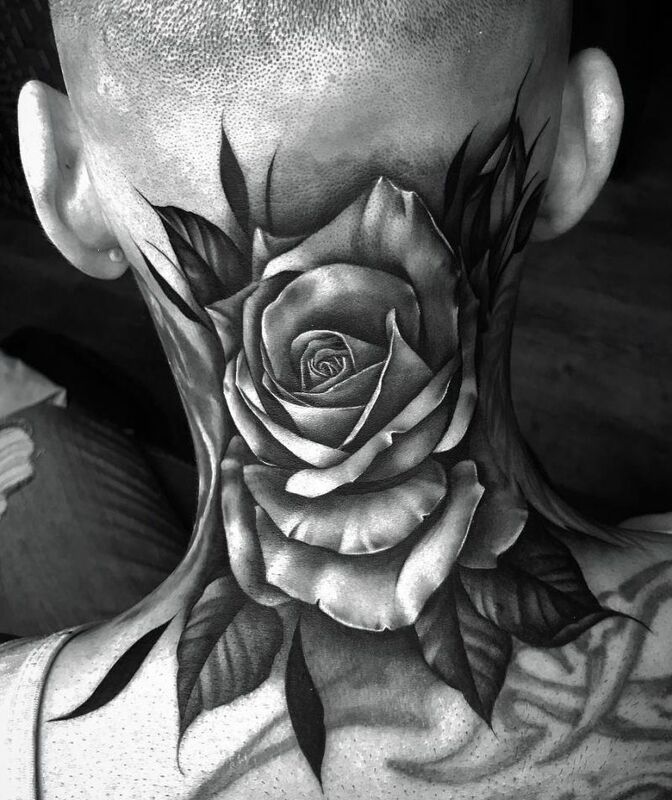 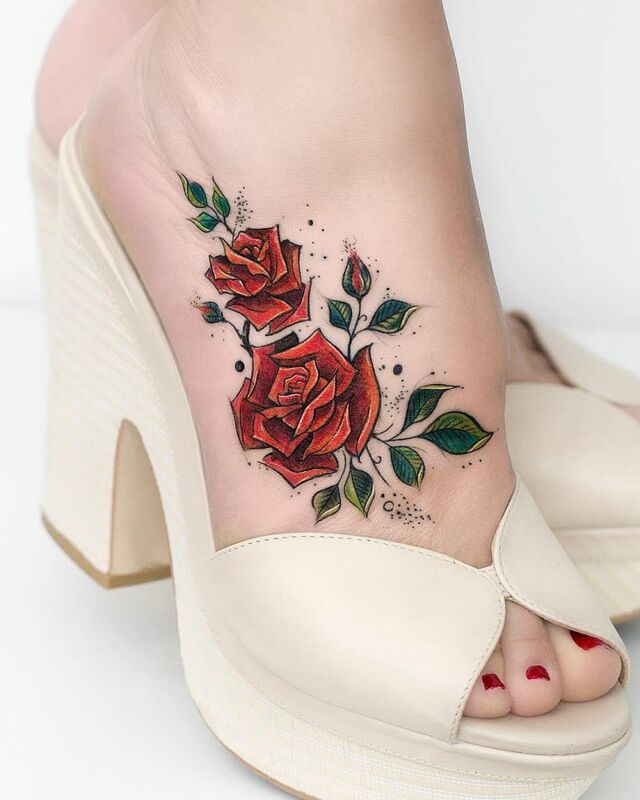 Roses are not only a beautiful flower but have been popular choice for both men and women for a tattoo since the 1930’s. 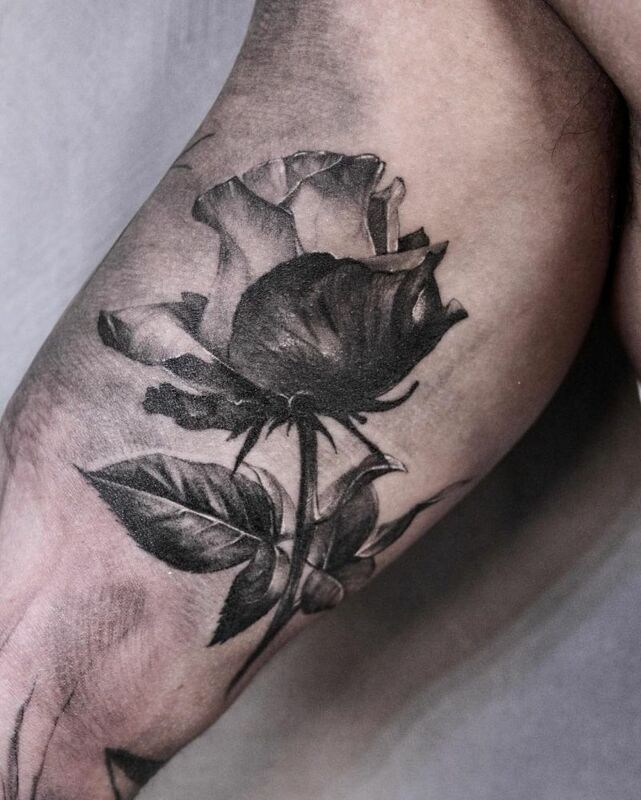 So what does the rose tattoo symbolize ? 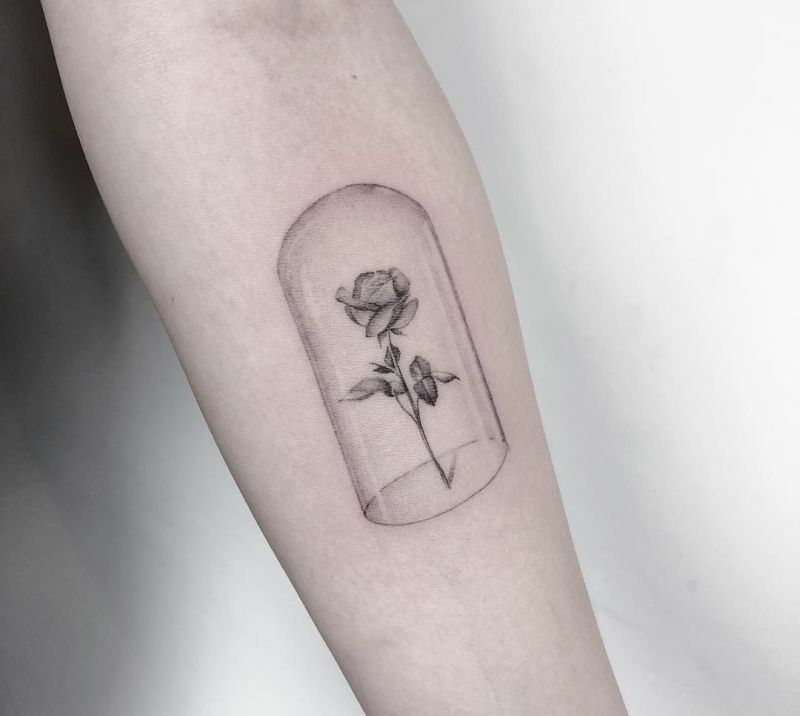 As we mentioned above, your first thought may be in regard to its delicate beauty or its representation of love, inner and outer beauty and whilst you would be right there is also so much more to this beautiful flower. 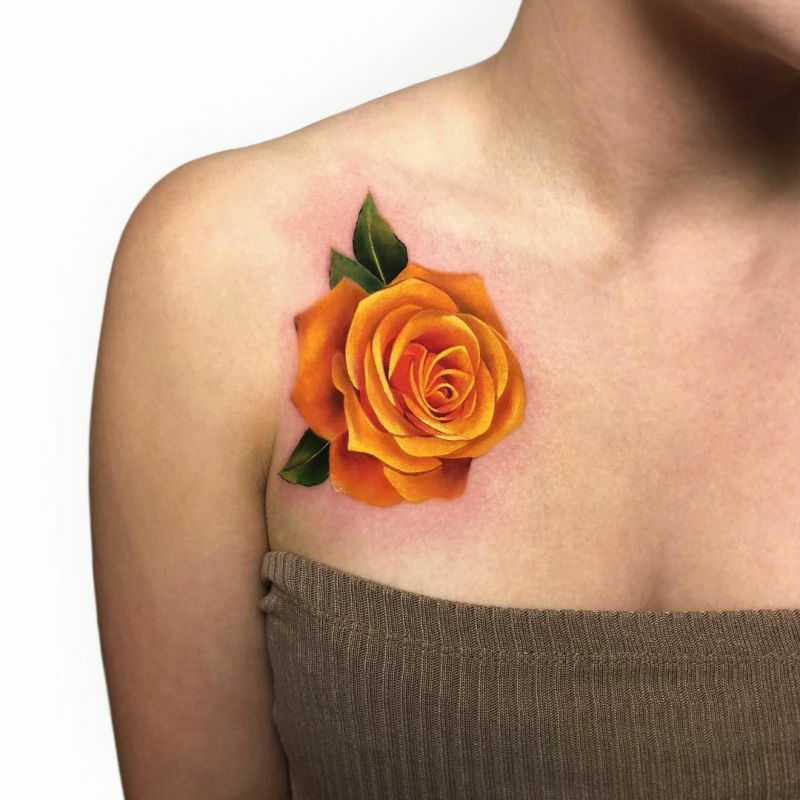 What does a rose tattoo symbolize? 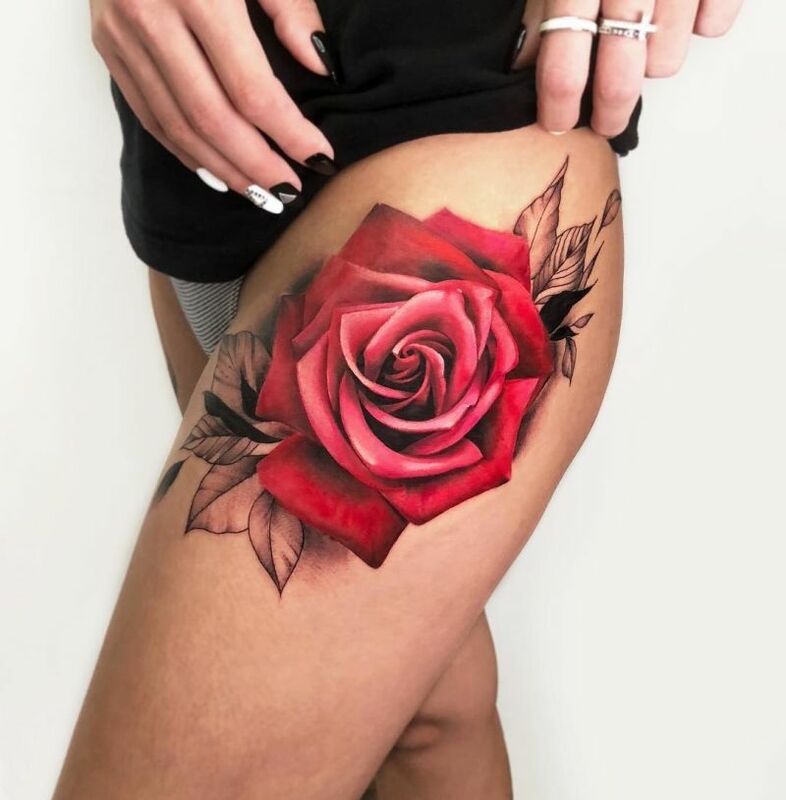 – femininity – roses are often strategically placed on a woman’s body to highlight areas that the wearer would like to highlight. 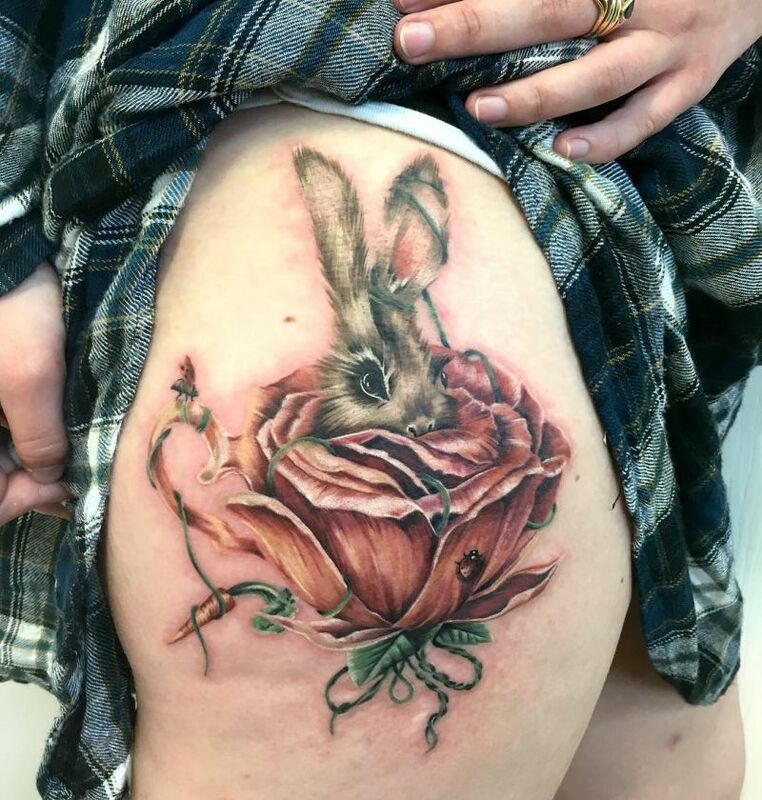 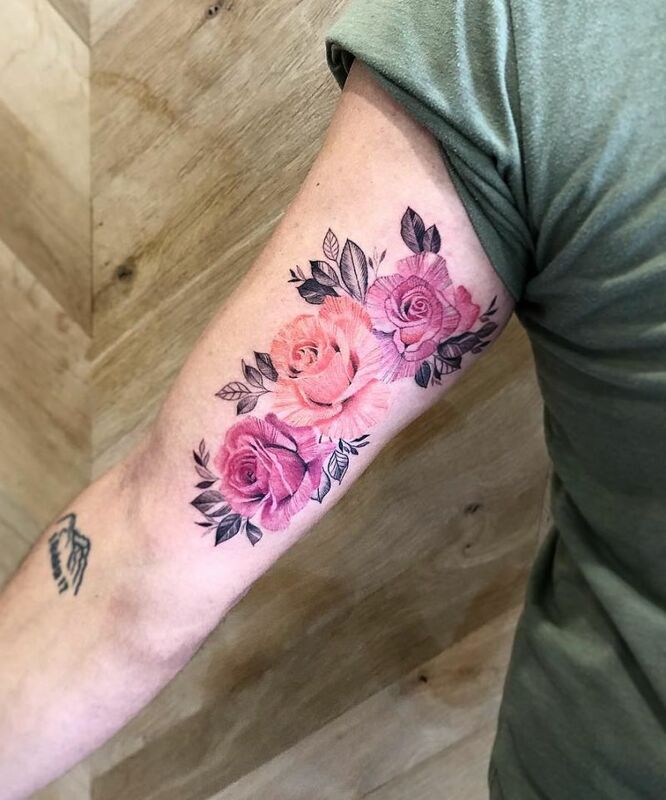 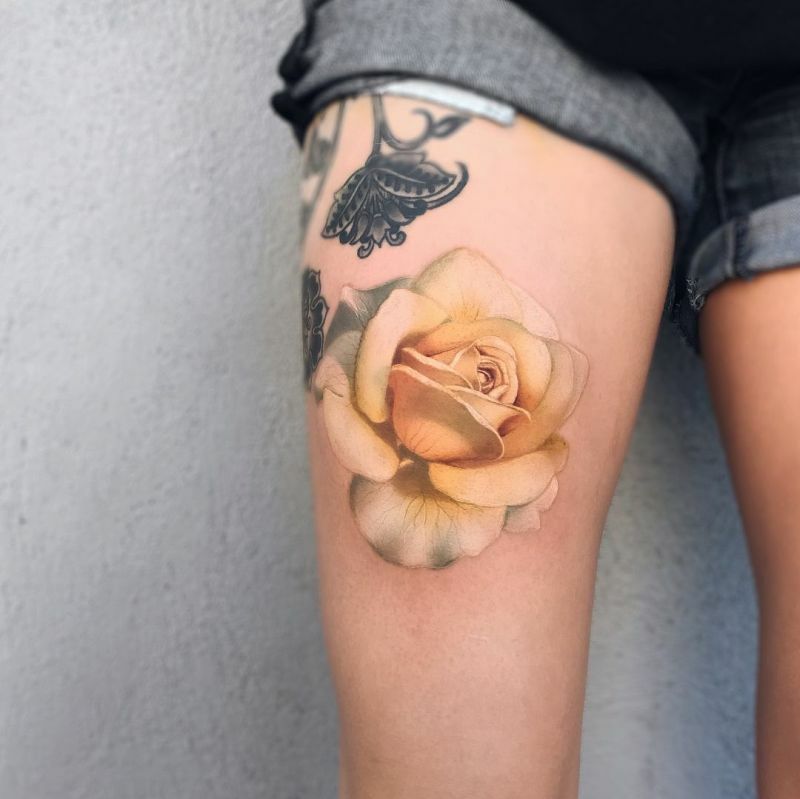 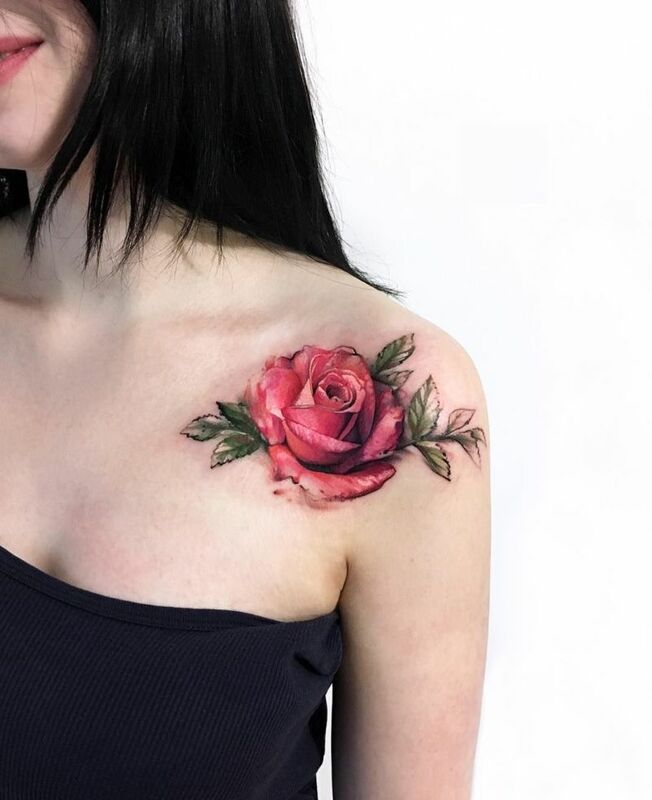 In addition, roses –whether or not they are the focus of the tattoo – bring a feminine touch to any design, even more ‘masculine’ tattoos such as weaponry. 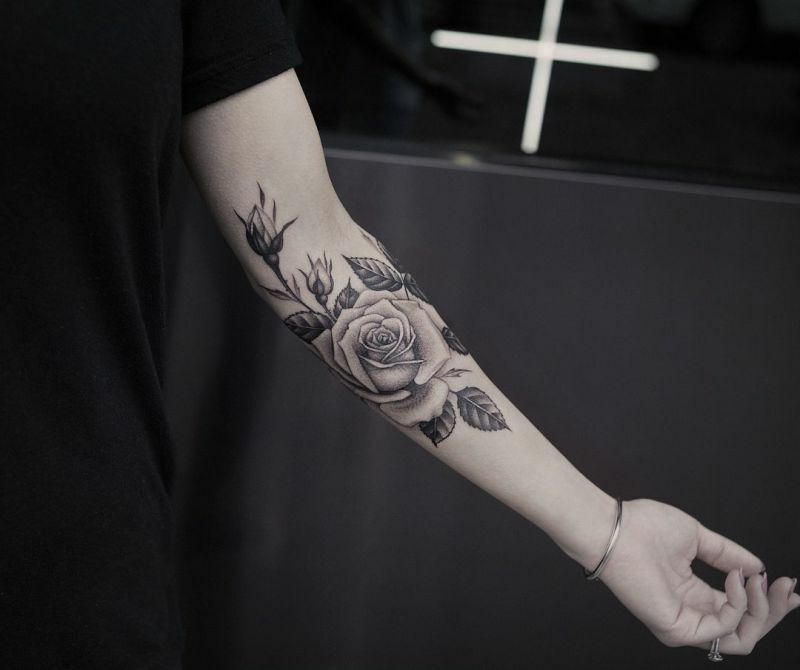 – spiritual allegiance – roses are commonly used to border tattoos depicting a thorny crown, sacred heart, Buddha, or any number or religious images. 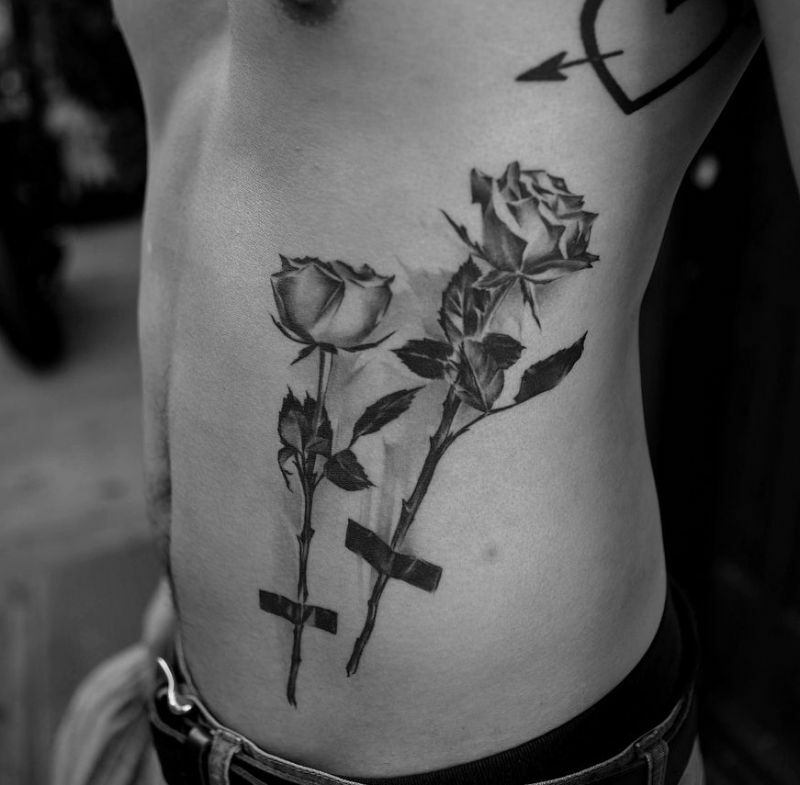 – sexuality – Symbolism used to signify sexuality can be positive or have a darker meaning; for example, a bed of roses beneath a woman might signify confidence, power, or owning one’s sexuality, while thorny roses are sometimes used to signify a rough sexual history that one has overcome. 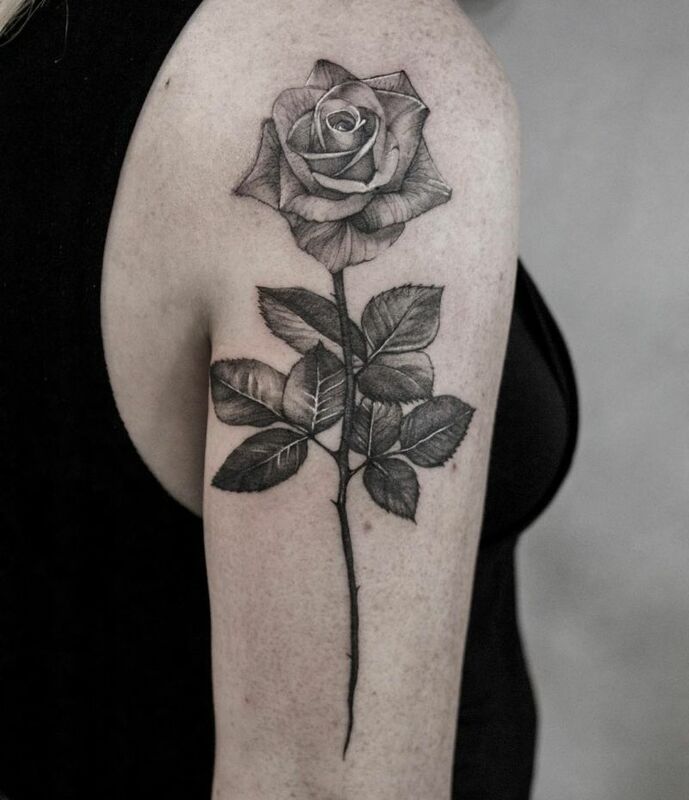 – love – this is probably the most common metaphor for roses. 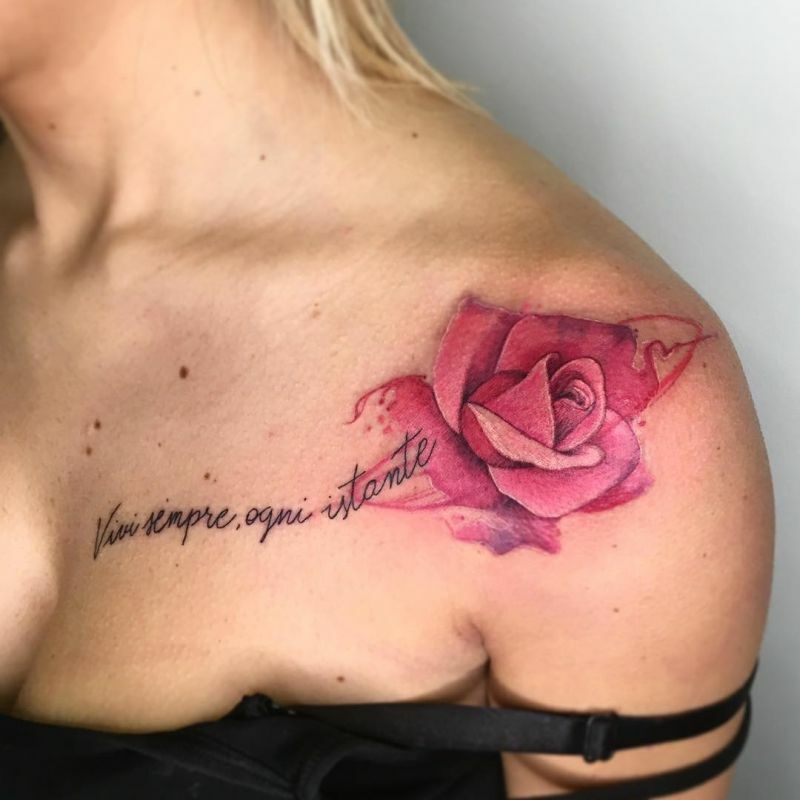 This meaning is used in tattoos that pay tribute to loved ones, those created to represent a relationship, or even to signify that one is unlucky in love or that love remains elusive. 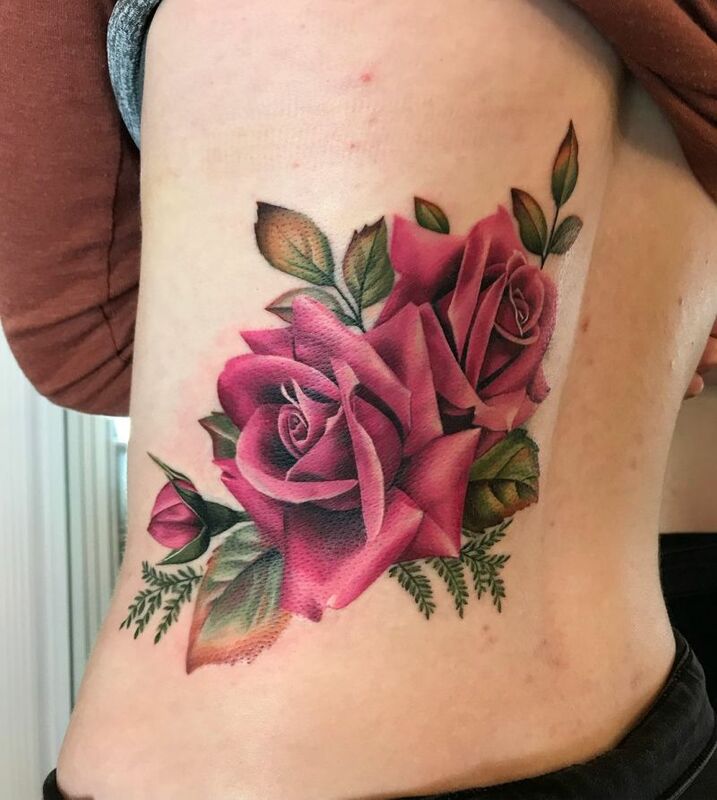 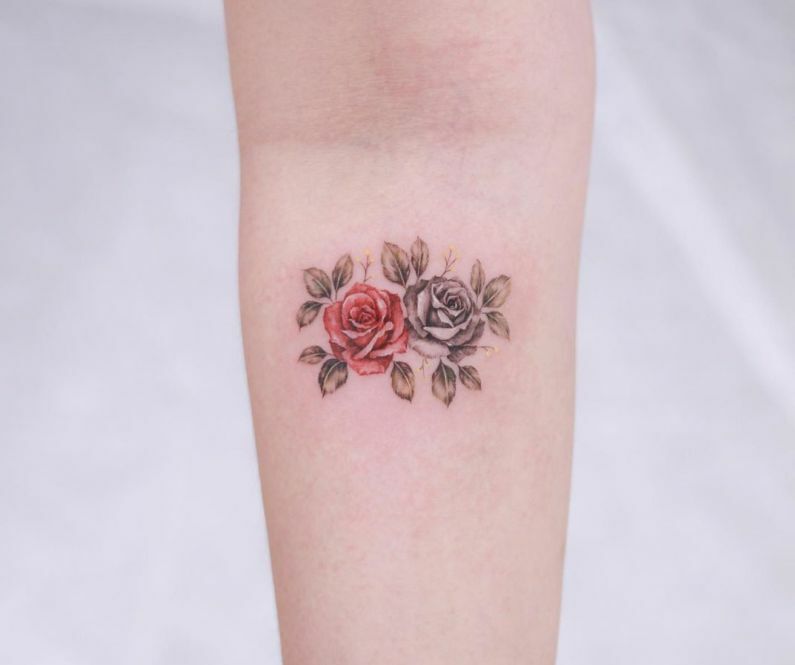 – tribute – roses appear frequently within tattoos that are created for loved ones who have passed on, and the wearer may select a color based on the relationship shared with the deceased. 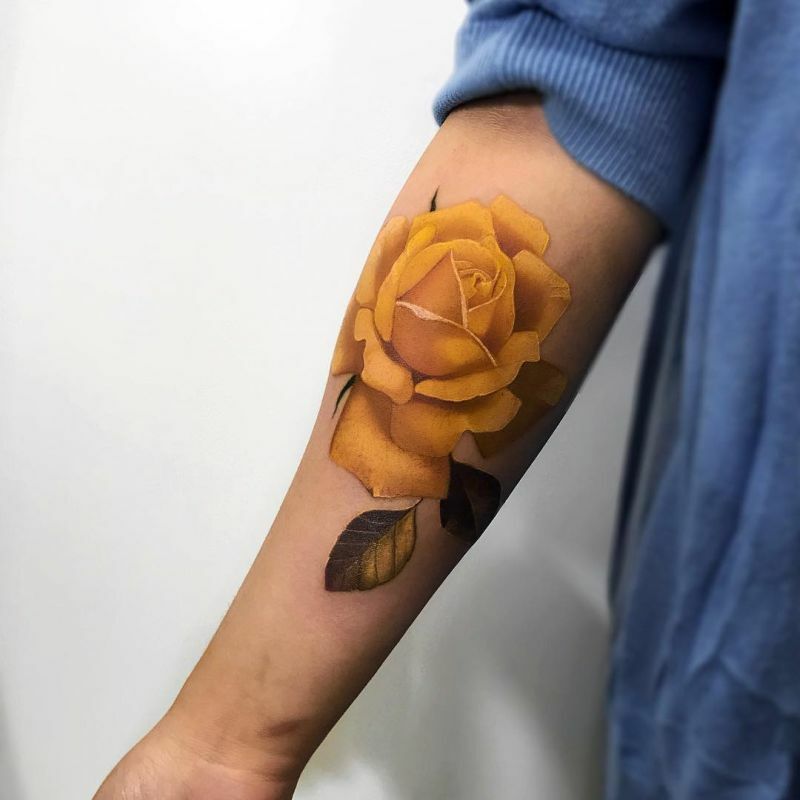 Besides those mentioned above, you should also know that the color you choose for your rose will have a different meaning ( for example, yellow rose historically meant jealousy but is now a symbol of happiness, safety against envious lovers, and a mature love, a black rose can represent death, farewell/goodbye, sorrow, loss, love that continues after death, dying love, and sometimes it can stand for beliefs or an affiliation such as: black magic, anarchy). 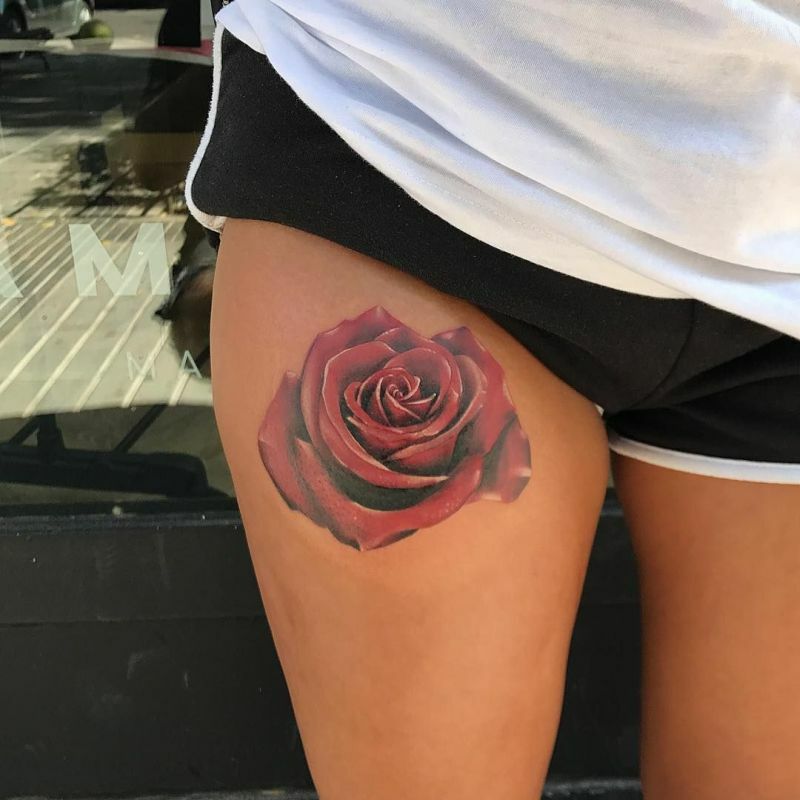 Also, the number of petals on a rose is associated with numerology and whether or not your rose is open or still in bud. 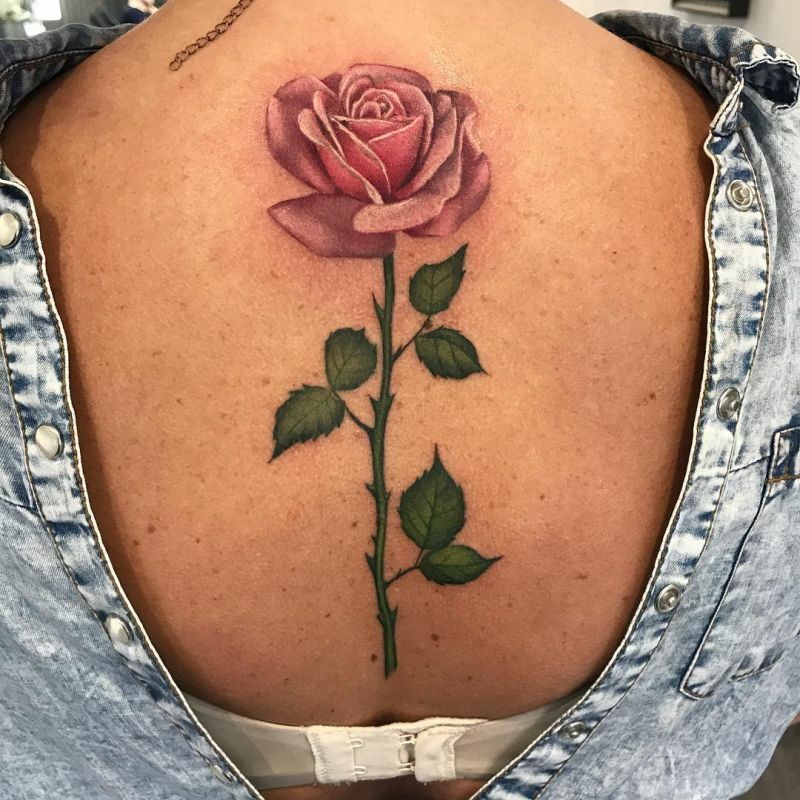 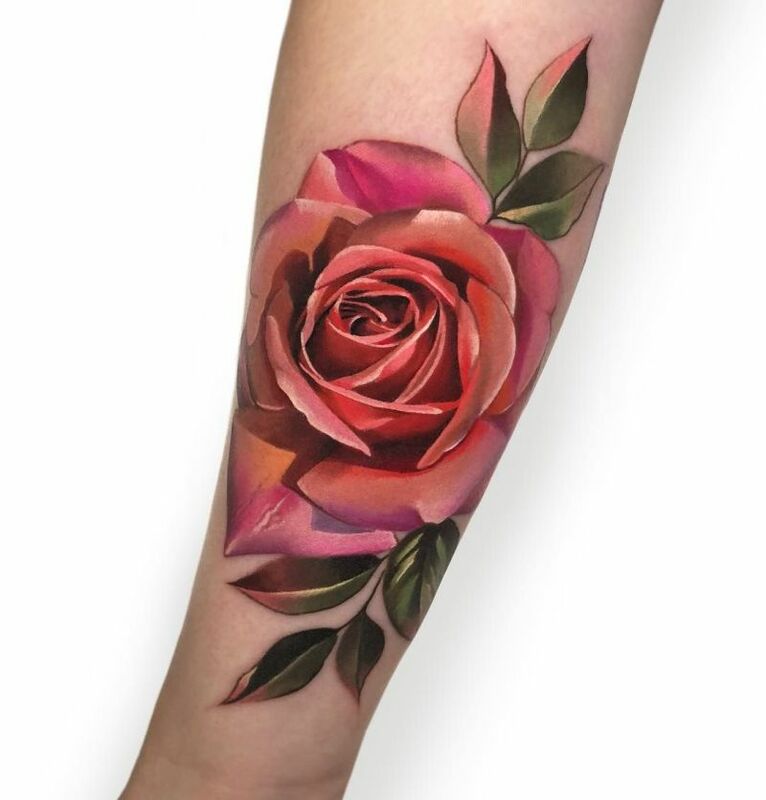 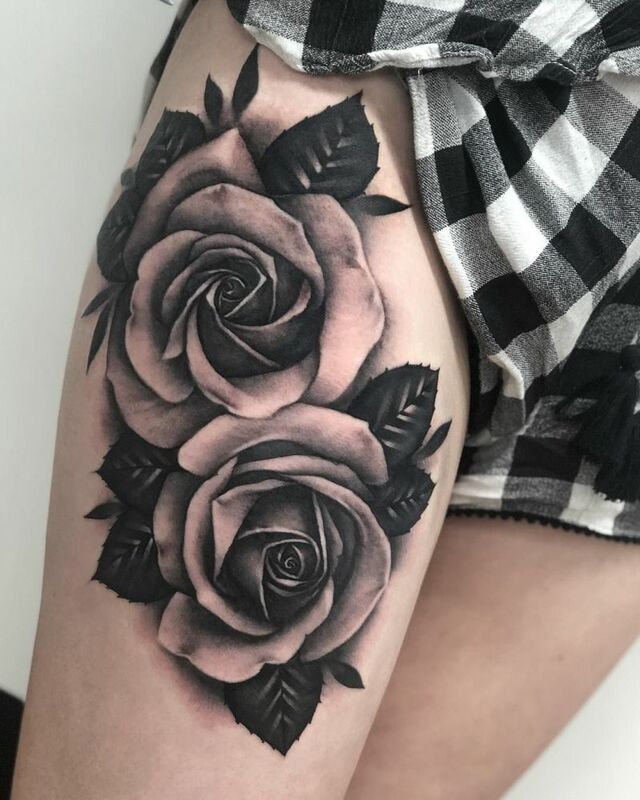 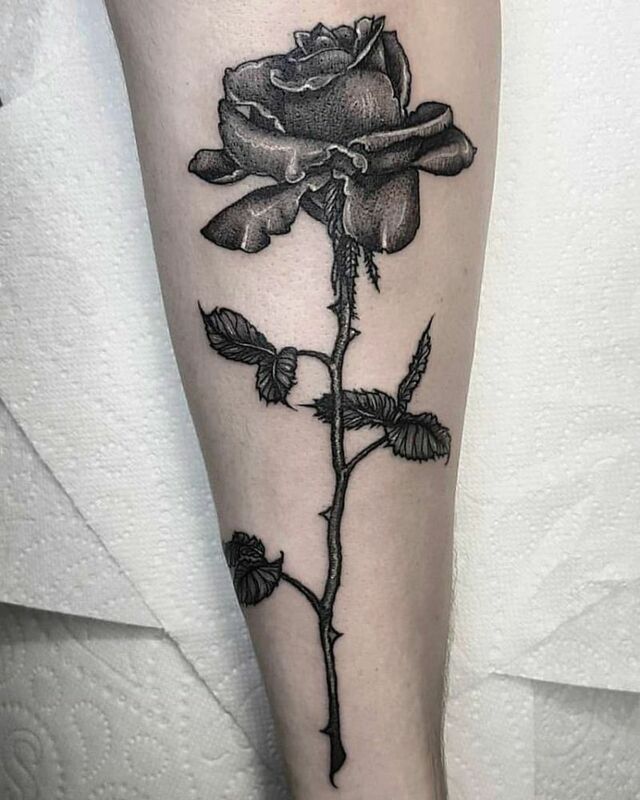 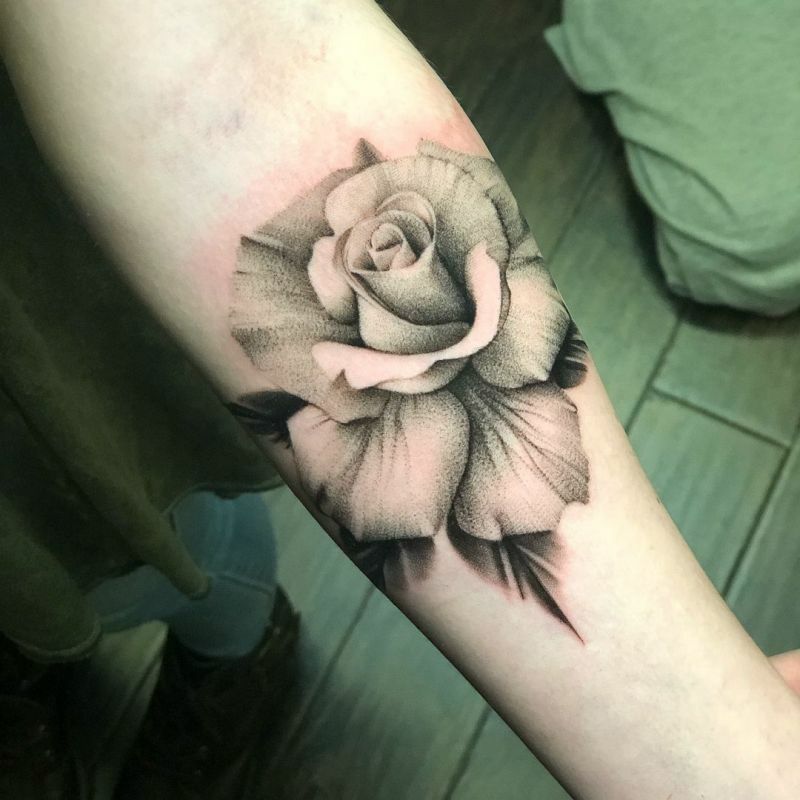 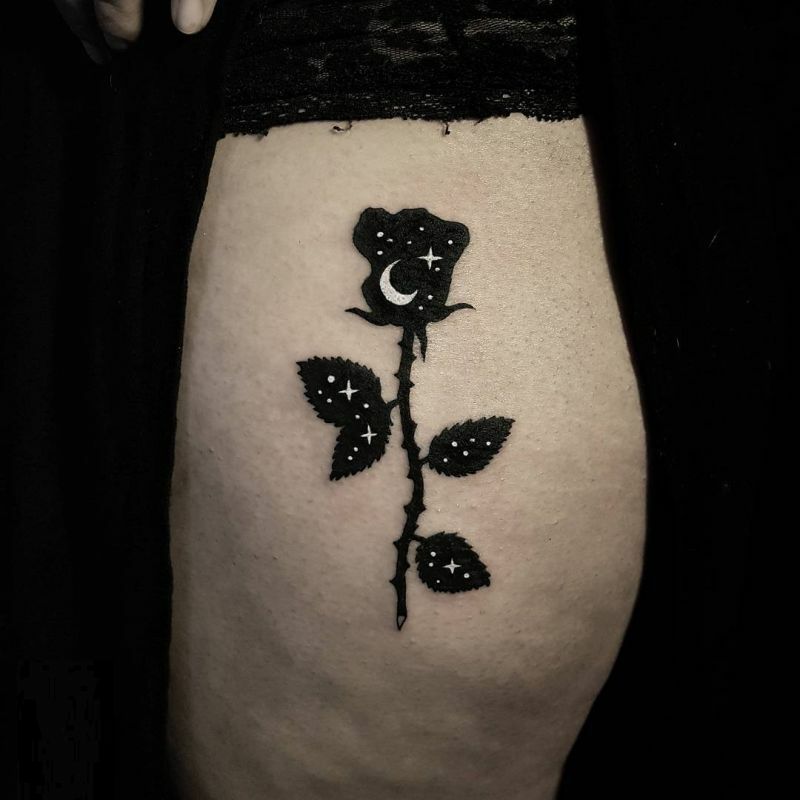 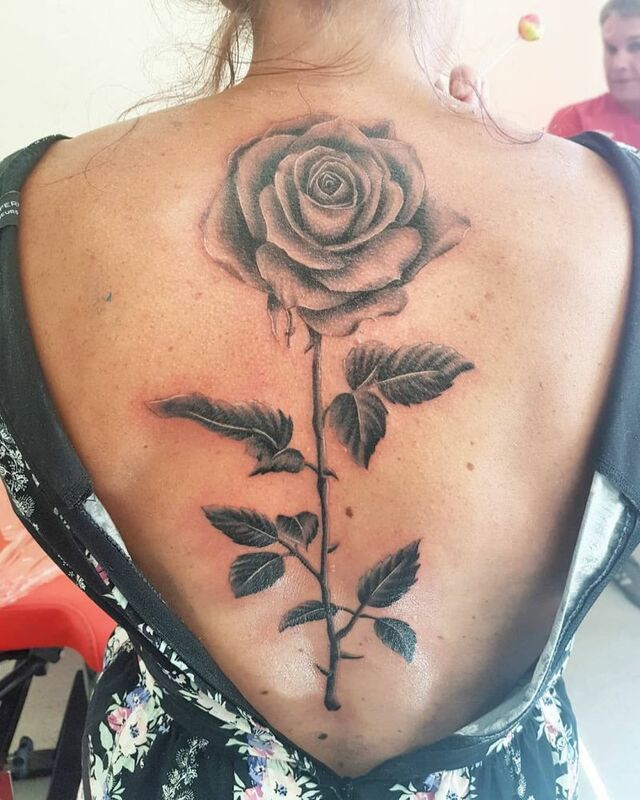 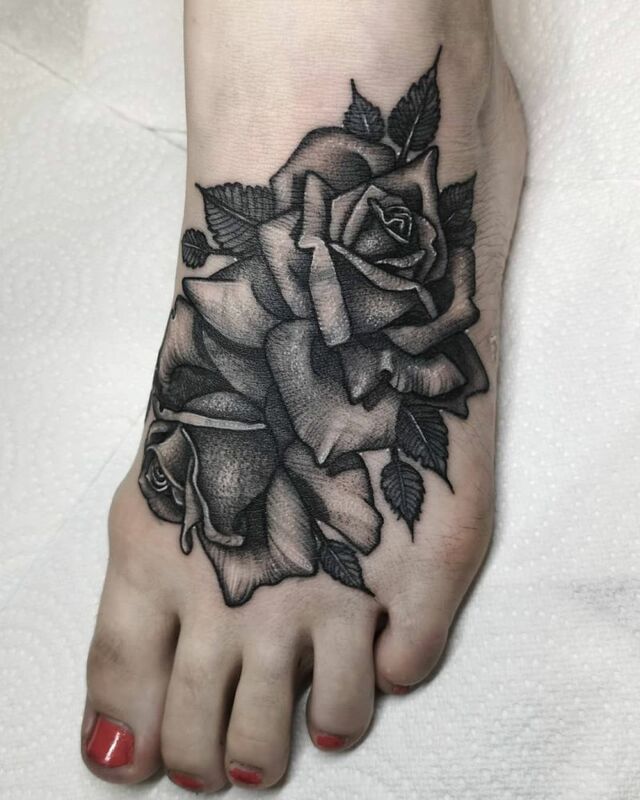 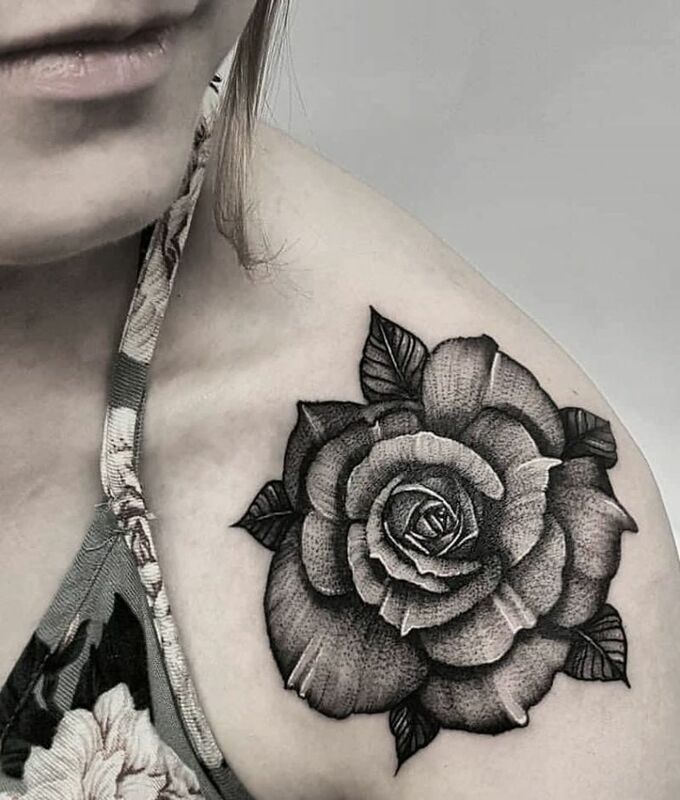 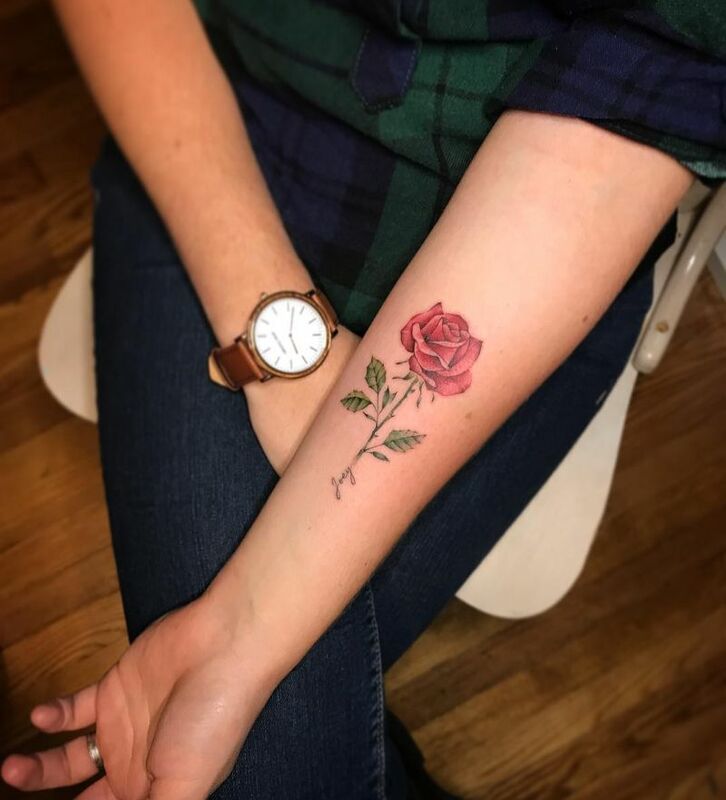 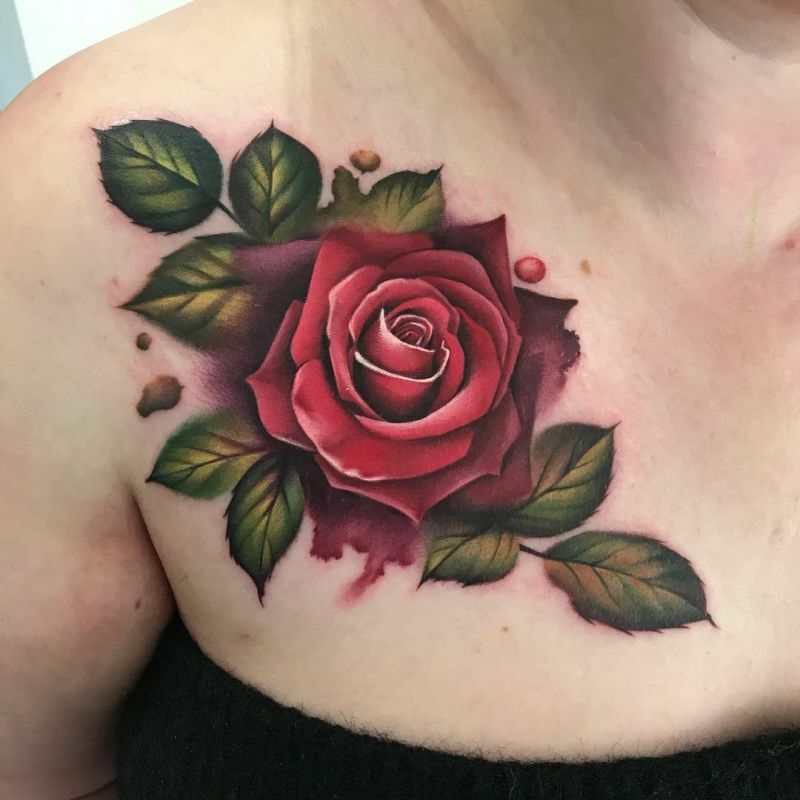 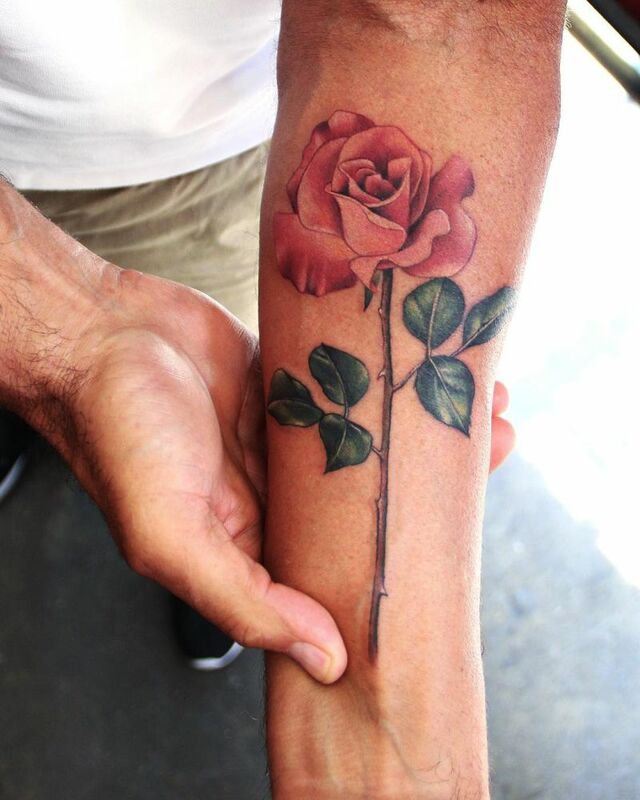 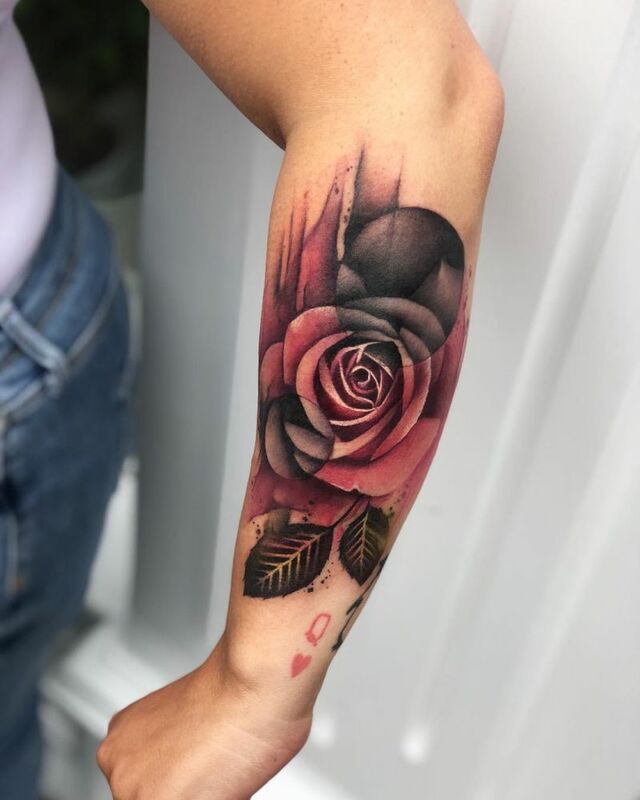 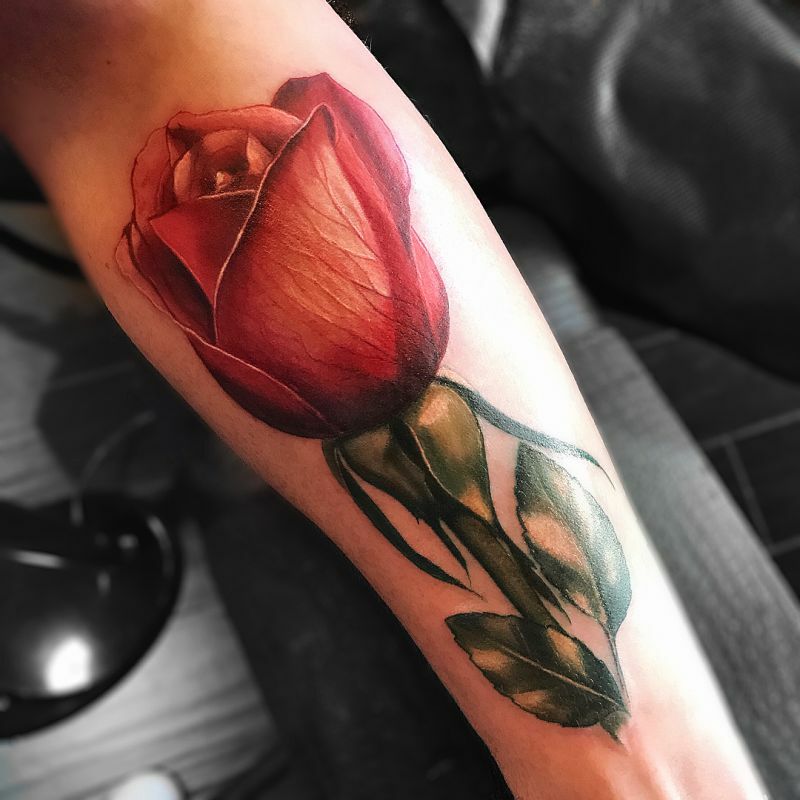 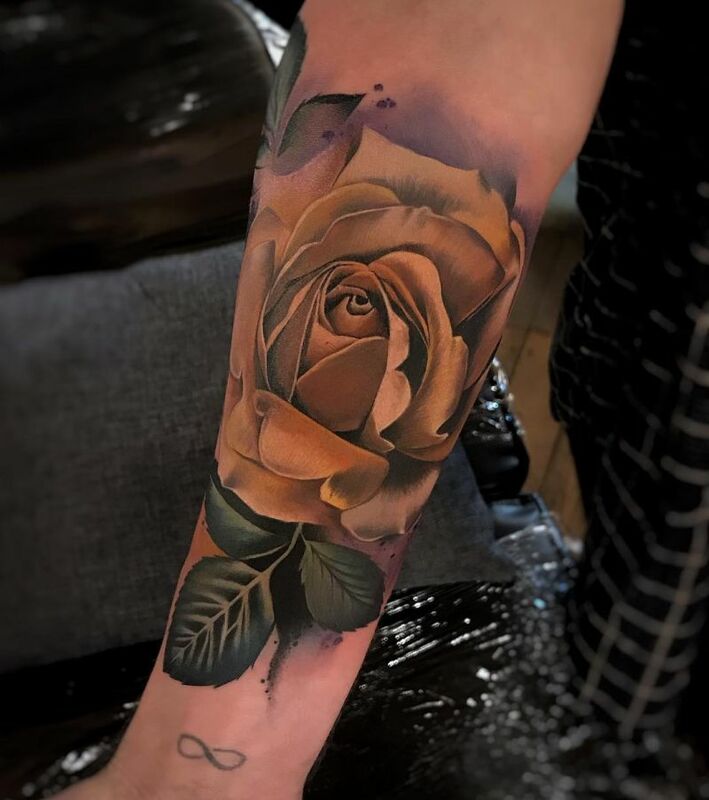 Another aspect that you must consider if you opt for a rose tattoo is represented by the additional elements that you can incorporate into the design ( for example, add a dagger and you have a love-hate relationship, or a cross and you have a memorial tattoo for a beloved one). 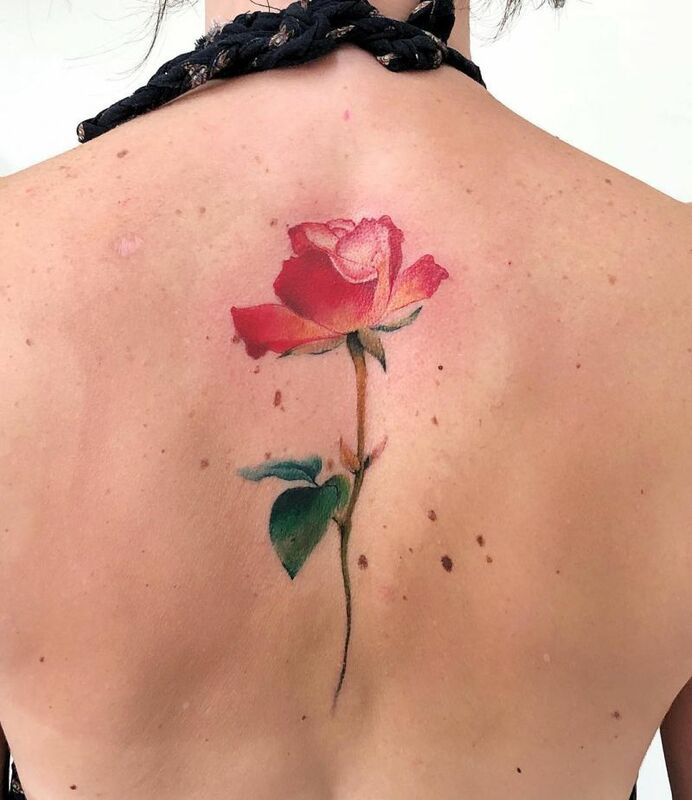 For whatever reason you go with the rose tattoo , it’s going to be beautiful, colorful and best of all full of nuances and meanings that will make you smile just by looking at it. 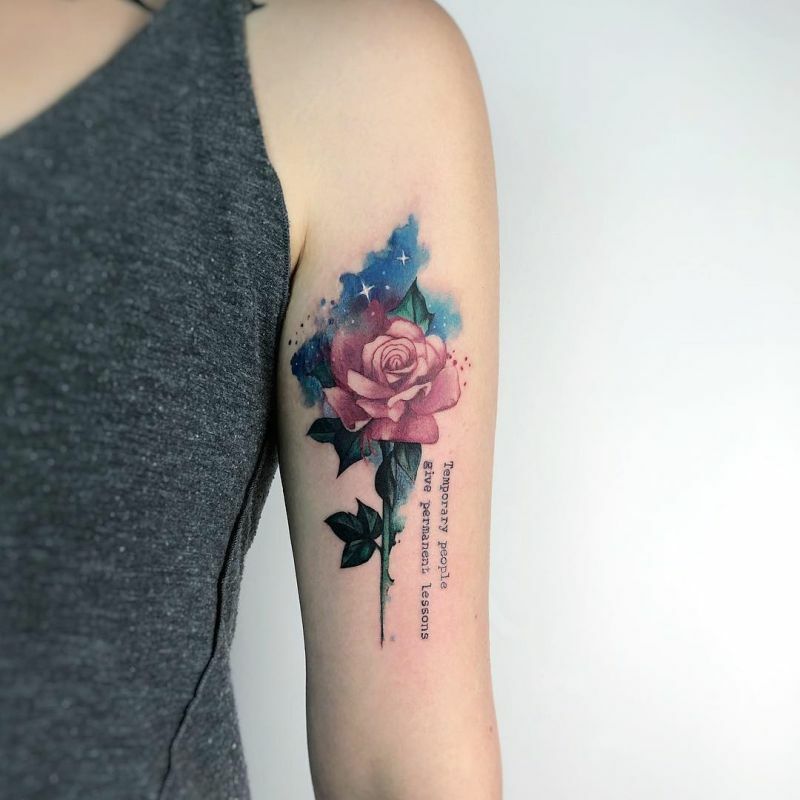 This is what people who get tattoos dream off – something beautiful that is rich in symbolism, has a weighty history and is great to look at. 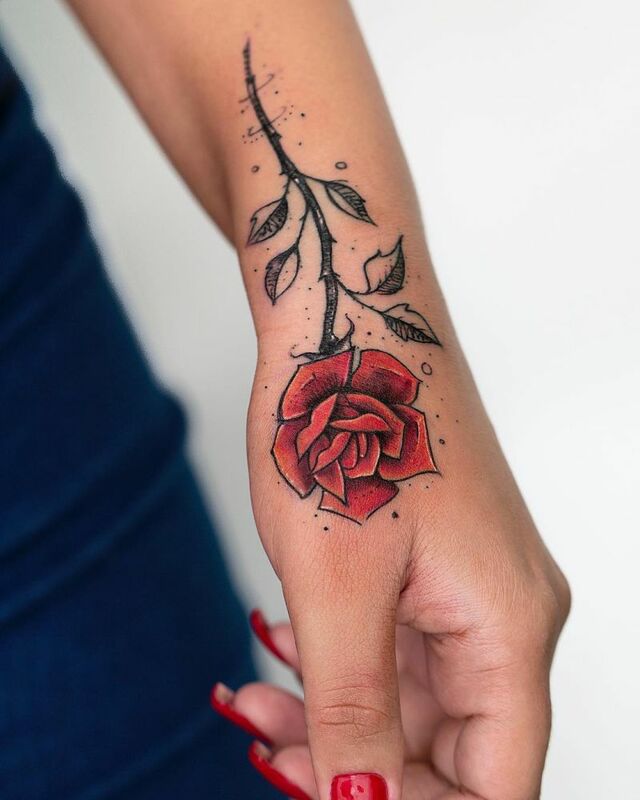 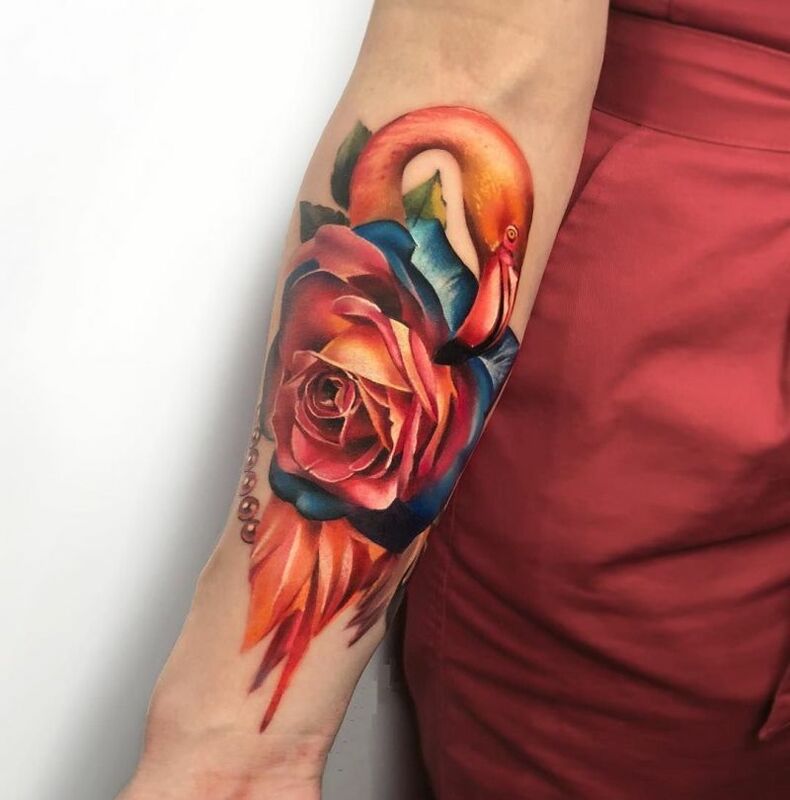 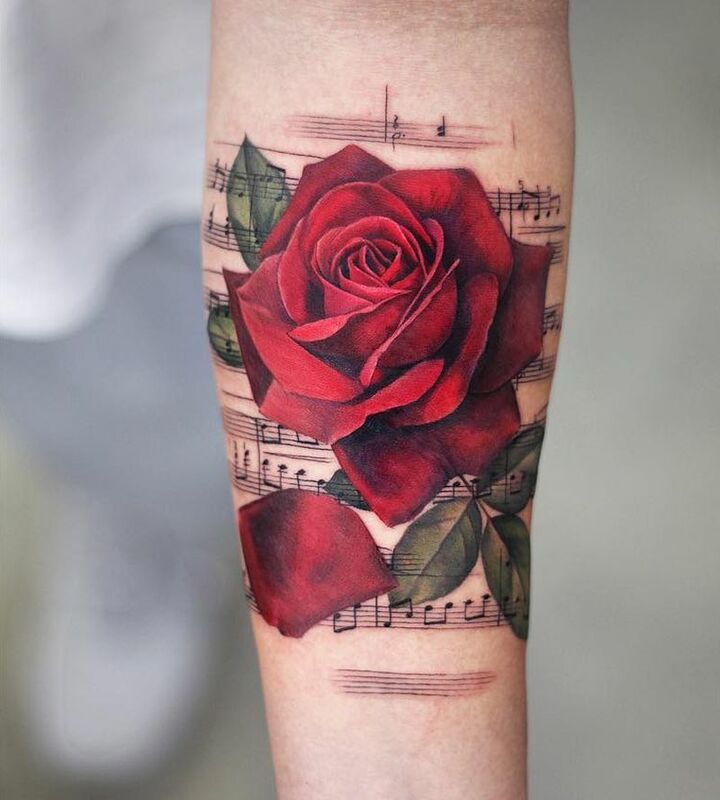 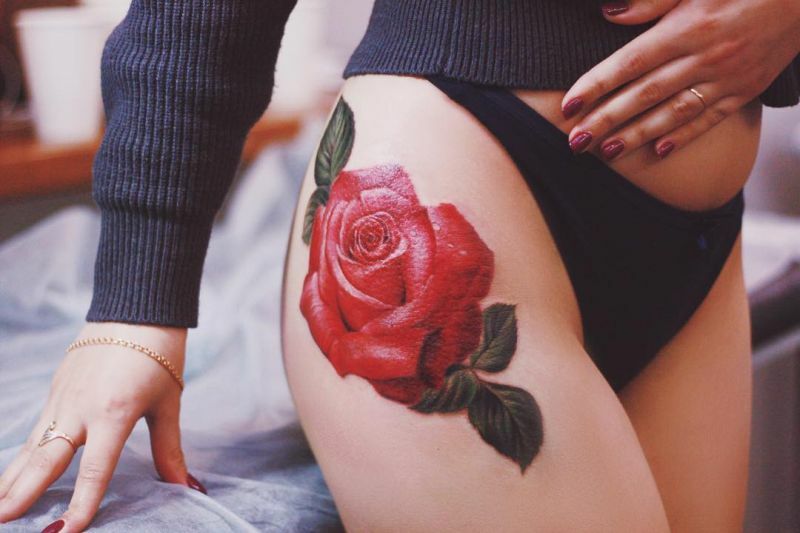 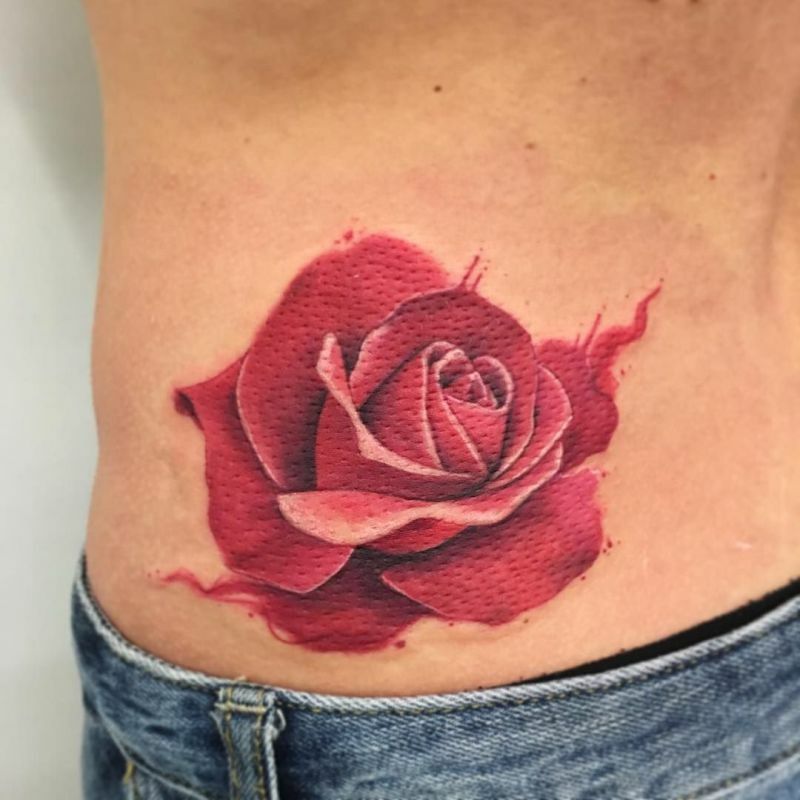 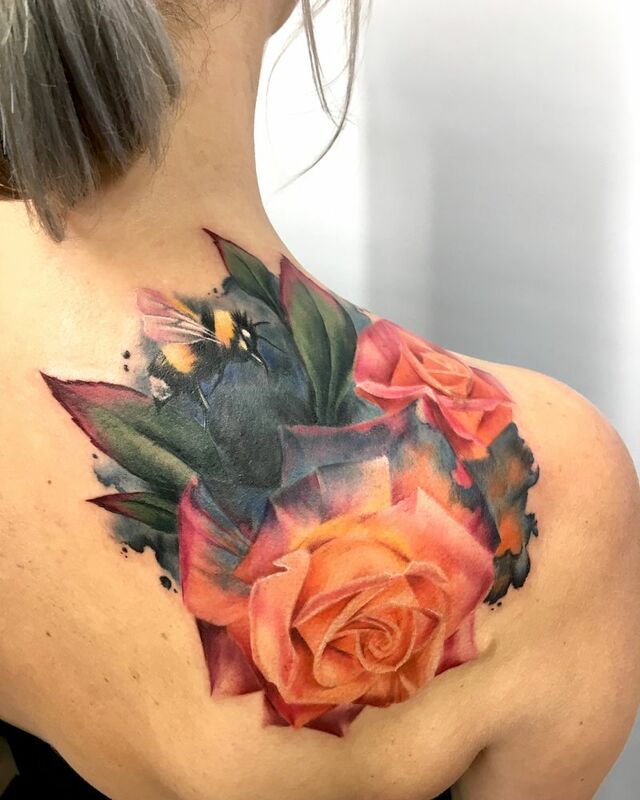 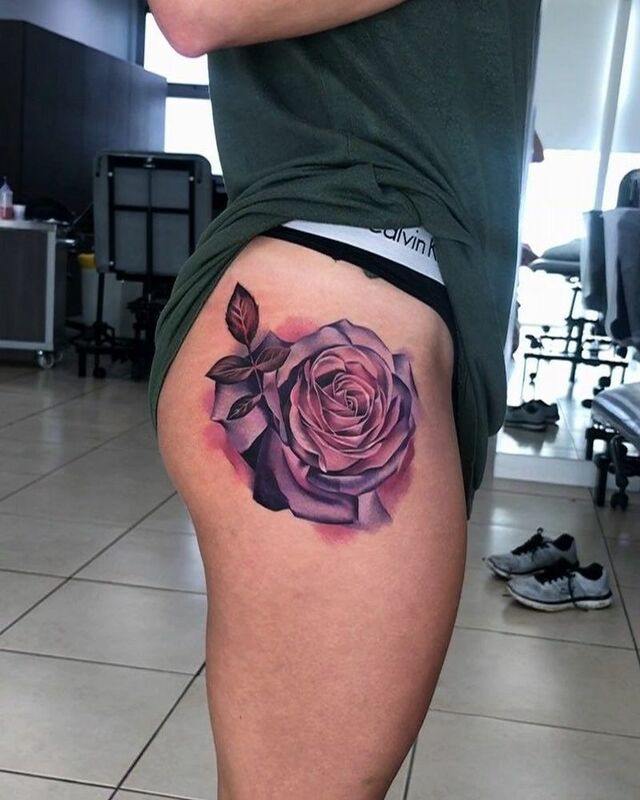 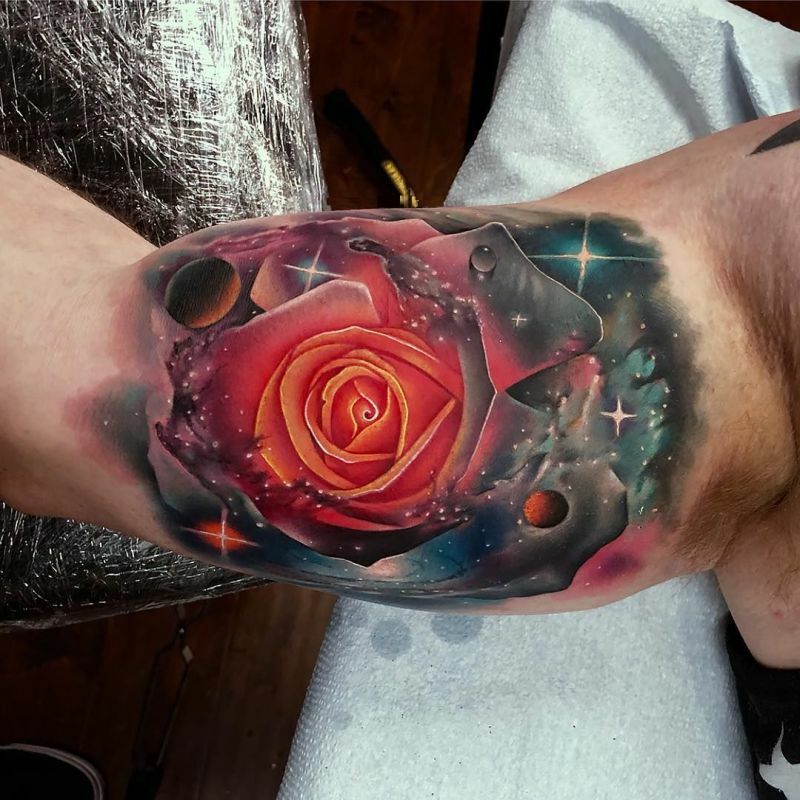 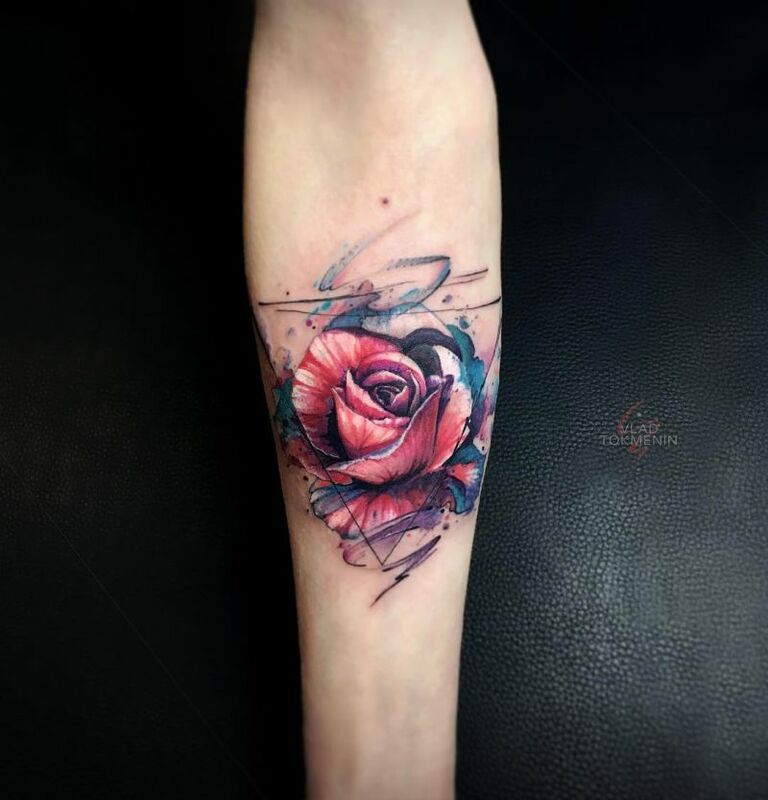 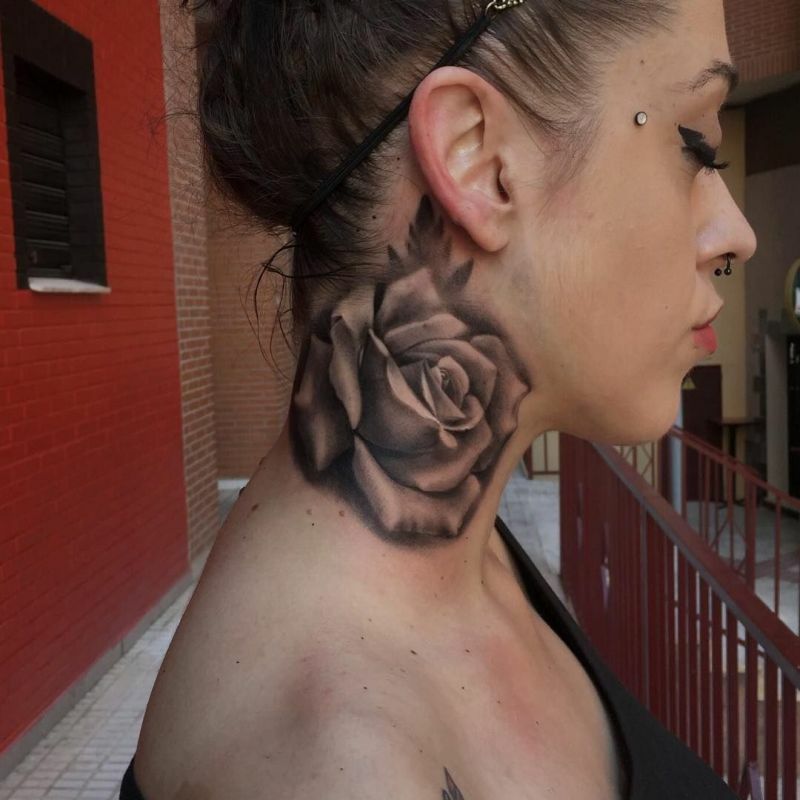 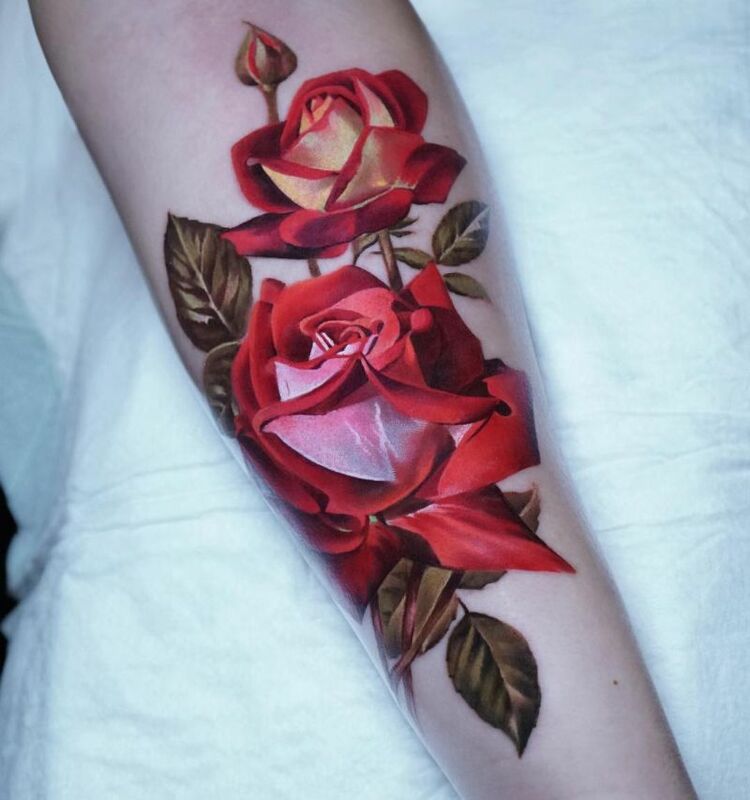 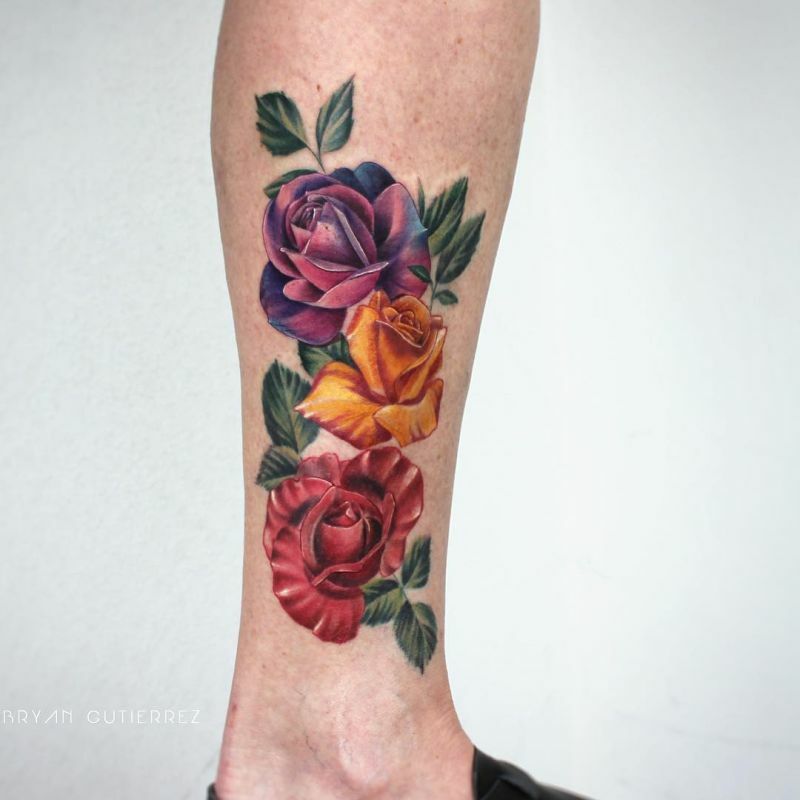 In the image gallery below you’ll fin ad selection with 50 of the most beautiful rose tattoo designs from our point of view so go ahead and feed your ink addiction! 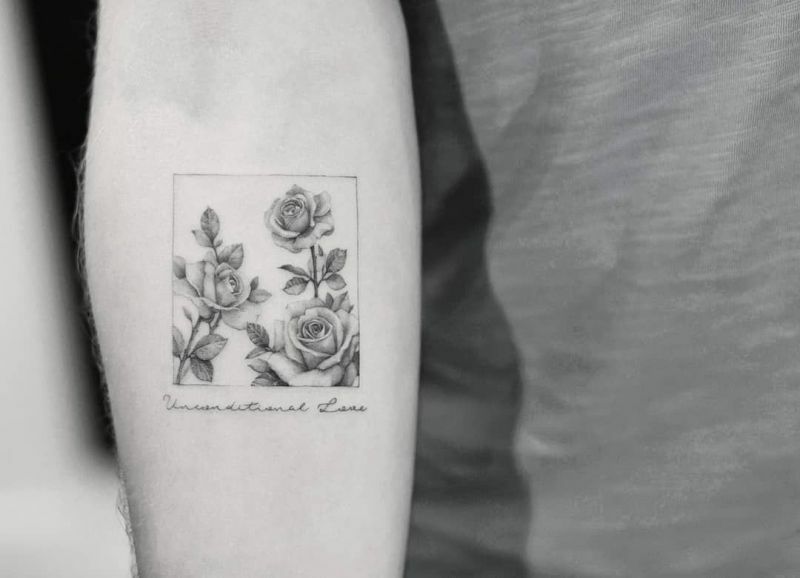 sorry i need more pictures of the fifth picture because i want the same. 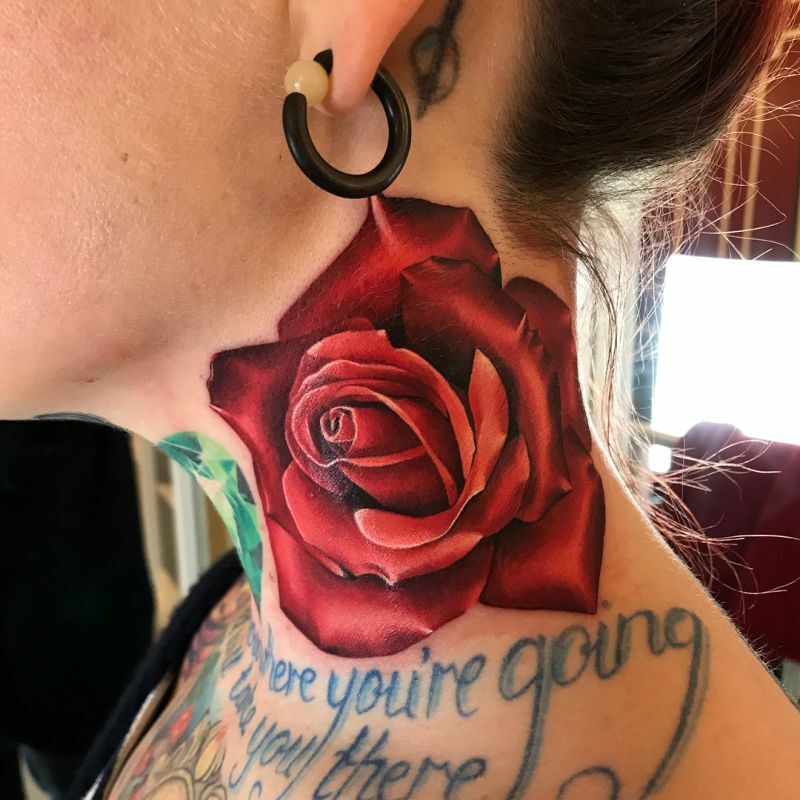 Can’t help with that, unfortunately. 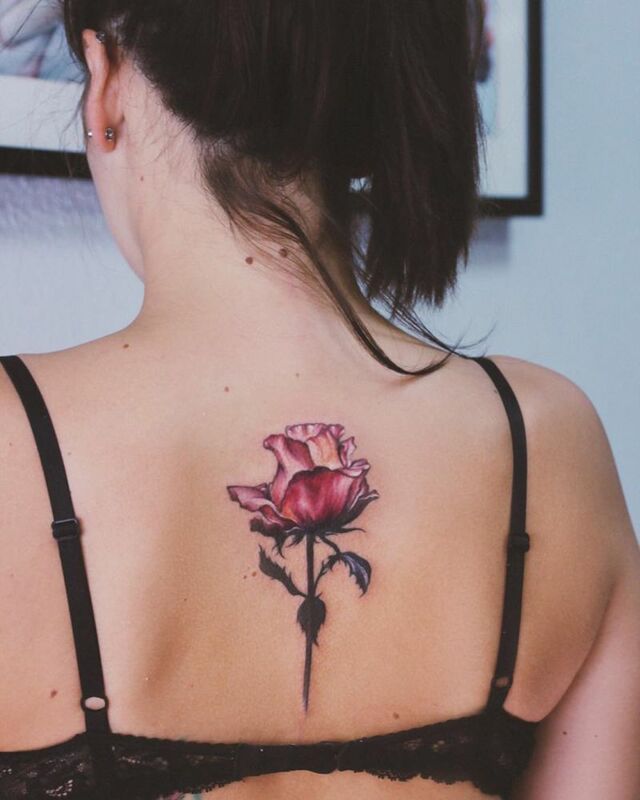 That’s the only picture we’ve found with that particular tattoo. 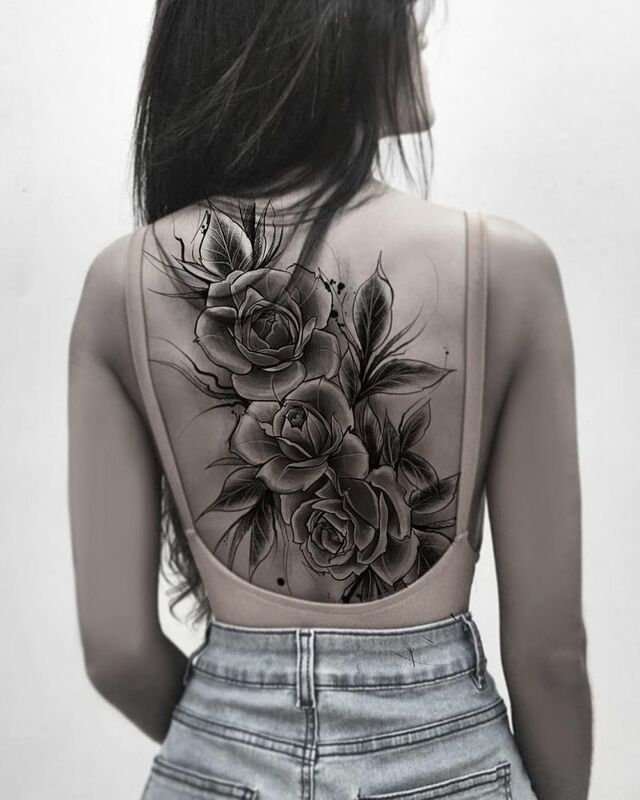 But I can tell you the artist who did it, maybe you’ll find more inspiration in her portofolio: Joice Wang is the ink master behind it.